All text and photos are copyrighted by Parks Canada or the Canadian Register of Historic Places (except as noted) and were extracted from either the Parks Canada or Canada's Historic Places Websites. Parks with a grey background are managed by Parks Canada. Abbot Pass Refuge Cabin is a high altitude alpine shelter in Abbot Pass, a col between Mounts Lefroy and Victoria on the continental divide on the border between Banff and Yoho National Parks. Its simple rectangular form and unadorned stone construction speaks to the rigors of its high altitude setting. The cabin is operated by the Alpine Club of Canada as a shelter for mountaineers. The heritage value of this site resides in its physical expression of rustic design as well as in its traditional use by visitors to the park. Built under the sponsorship of the Canadian Pacific Railway in 1922, it was acquired by the Parks Branch in 1968 and restored in 1973. 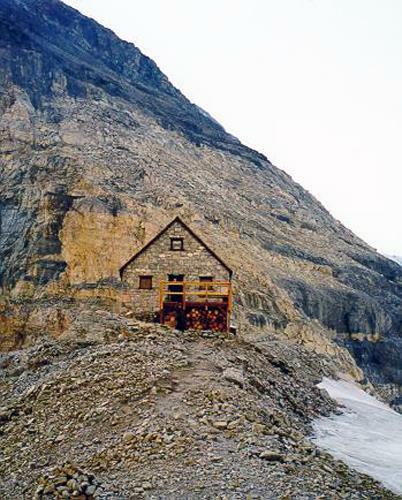 Since 1985, the hut has been maintained and operated by the Alpine Club of Canada. Situated in the badlands of central Alberta, the Atlas No. 3 Coal Mine National Historic Site of Canada is an exceptionally well-preserved coal-mining landscape spread across the side of a bluff, on the south side of the Red Deer River and over the valley immediately below. The resources on the side of the hill are clustered around the vestigial mine entrance and include foundations of a rotary dump, traces of a rail line and trestle bridge leading east towards a second rotary dump, the remains of that dump, two nearby explosives sheds, a blacksmith shop, and a covered belt line leading down the hill. In the valley, the focal point is the mine tipple and the related conveyor system leading to it from the hill. A collection of wood frame service buildings is located west of the tipple, consisting of a machine shop, storage building, washhouse, and a loading ramp. East of the tipple, there are four former managers' houses and a storage shed. 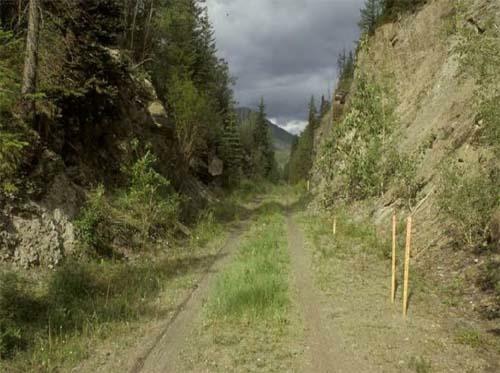 The site contains rail beds and some of the rails of the 1930 spur line that connected the Atlas mine to the main line across the Red Deer River. Another striking feature is the associated railway bridge, still extant. 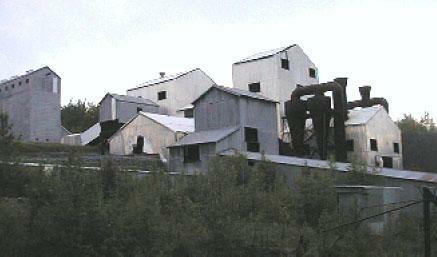 The heritage value of the national historic site resides in the surviving physical resources, which illustrate the former coal mining operation at this location. Operational from 1936 to 1974, the site is now presented to the public by the Atlas Coal Mine Historical Society. Athabaska Pass National Historic Site of Canada is a route that crosses the Rocky Mountains, the height of land that forms the Continental Divide in western Canada. The pass forms a linear corridor of access over these mountains in an area of dramatic landscape composed of river, trail, trees, glaciers, lakes and rock formations. A geographic composite of elements whose character alters with the seasons, the pass becomes increasingly rugged as it ascends to meadows surrounding a small glacial lake at the summit. Rivers to the west drain into the Pacific while the eastern half drains into Hudson Bay. These mountains form the boundary between British Columbia and Alberta and the site is situated in both provinces. The Alberta side of the pass falls entirely within Jasper National Park of Canada and is administered by Parks Canada. The British Columbia side of the site is provincial crown land administered by the British Columbia Ministry of Forests. The headwaters of the Whirlpool River in Jasper National Park of Canada run through the pass and eventually connect into the Columbia River. Between 1811 and the mid-1850s, the Athabaska Pass played an important role in the transportation routes of the fur trade of western North America. Its importance derived from its strategic location on the Continental Divide when traders, both British and American, were seeking to extend their commercial activity west of the Rocky Mountains. David Thompson, the noted surveyor and explorer, decided to search out a new route in order to get around the blockade mounted by the Piegan Indians. In January 1811, David Thompson, using traditional Aboriginal knowledge and guided by Thomas the Iroquois, crossed the Rockies through this pass and led his party down the Wood River to the place on the Columbia River later called Boat Encampment. Journeying over the pass in 1824, Hudson's Bay Company Governor George Simpson named the small lake at the top of the pass "the Committee's Punch Bowl"  a reference to the London Committee of the company. The Athabaska Pass route ensured continuity of service to the fur trade posts already established by Thompson in the upper and middle Columbia River Valley. Áísínai'pi National Historic Site of Canada, also known as Writing-on-Stone Provincial Park, is located on the Milk River in southern Alberta 150 km east of the Rocky Mountains. Set in a region of rolling mixed grass-prairie near the northern limits of the Great Plains, the Milk River and its tributaries are deeply incised into the surrounding grassland creating dramatic vertical sandstone cliffs above and overlooking the river. The sandstone cliffs, caves and hoodoos are the canvas for extensive rock art that consist of carvings (petroglyphs) and paintings (pictographs) that commemorate vision quests and record significant events of the Niitsítapi or Blackfoot from approximately 4000 BCE until the early 20th century. The site provides spectacular views of the Poyíítahtai valley and the surrounding landscape. Áísínai'pi ("it is pictured or written") represents one of the most significant places in the cultural and sacred geography of the Niitsítapi (Blackfoot people). Oral traditions describe the ancient history and spirit powers found at Aísínai'pi. In addition, history and sacredness are represented by numerous rock art images carved and painted on the sandstone cliffs lining the Milk River. The rock art is an expression of the meeting of the spiritual world and the physical world. Most of the images date to the period before contact with Europeans and are representational, depicting human, animal figures and objects in an often schematic and highly conventionalized manner. Images; static and ceremonial or active and biographic; include shield-bearing warriors, deer, bison, antelope, birds and mythical animals such as the Thunderbird. The images and motifs may be simple and isolated or arranged across the surface in animated complex "scenes" depicting ceremonies or battles. Later depictions include horses and other datable objects of European origin. This visible and evocative symbol of Aboriginal history is considered a sacred landscape intimately related to the presence of Kátoyissiksi, a significant feature in the sacred geography of the Niitsítapi. The dramatic sandstone cliffs and formations that constitute the site are considered by the Niitsítapi to host many powerful beings and have long provided an abundance of important vision quest locations. Even though the rock art is an important spiritual and cultural legacy, it is inseparable from the broader cultural landscape of Áísínai'pi. In the fall of 1883, three Canadian Pacific Railway construction workers stumbled across a cave containing hot springs on the eastern slopes of Alberta's Rocky Mountains. 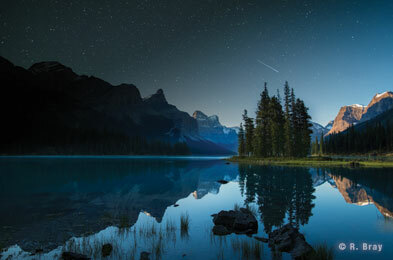 From that humble beginning was born Banff National Park, Canada's first national park and the world's third. Spanning 6,641 square kilometres (2,564 square miles) of valleys, mountains, glaciers, forests, meadows and rivers, Banff National Park is one of the world's premier destination spots. Banff Park Museum National Historic Site is a two-storey, rustic log-faced building set prominently within a landscaped park in the Banff townsite. The double-height interior space displays early botanical and zoological exhibits from Banff National Park in early twentieth-century glass cases. The heritage value of Banff Park Museum resides in its setting, architecture, and in the early (1891-1932) exhibits it houses. Banff Park Museum was designed and built in 1902-03 as a combined museum and Superintendent's Office for Banff National Park by engineer John Stocks. Although the museum remained, other functions in the building changed after 1936. Many of its original exhibits were declared surplus in the 1955-65 period. The building was rehabilitated in the 1980s and 1990s. 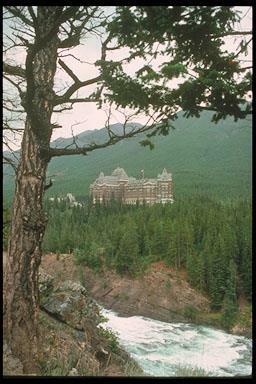 The Banff Springs Hotel is a large, Chateau-style hotel, built between 1911 and 1928. It is picturesquely situated at the foot of Sulphur Mountain in the town of Banff, within Banff National Park. Set in the rolling foothills of the Rockies, the Bar U Ranch is the only National Historic Site to commemorate the history and importance of ranching in Canada. The site has many historic buildings and structures, illustrating various stages of ranching development, and is rich in cultural landscape features. A visitor orientation centre and a vibrant living history program interpret a time when the West was young. Bar U Ranch National Historic Site of Canada comprises 148.43 hectares of rangeland that constitute the original headquarters site of an Alberta cattle ranch established in the 1880s. Located in a shallow east-west valley along the banks of Pekisko Creek in southern Alberta's foothills, the ranch includes rolling uplands, level flats, covered creek bottoms and a variety of wooden ranch buildings. 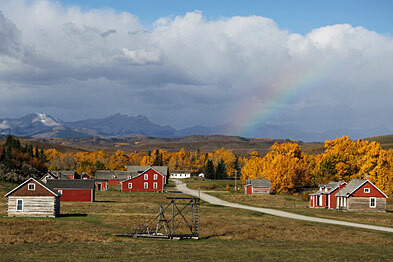 The heritage value of Bar U Ranch National Historic Site of Canada lies in the integrity of its cultural landscape as a representation of Alberta ranching in the 1880-1950 period. It is embodied in the enduring rural character of the landscape, in its continued use for cattle raising, and in the traditional elements of the ranch landscape associated with foothills cattle country, both natural and man-made. The Bar U Ranch was established in 1882, under the federal government's grazing lease policy by the North-West Cattle Company, a firm of investors led by Québec resident Fred Stimson. In 1902 it was acquired by George Lane, a cowboy and former Bar-U foreman who had become a major cattleman. He sold it to Patrick Burns in 1927, and it operated as part of Burns' cattle conglomerate until 1949. 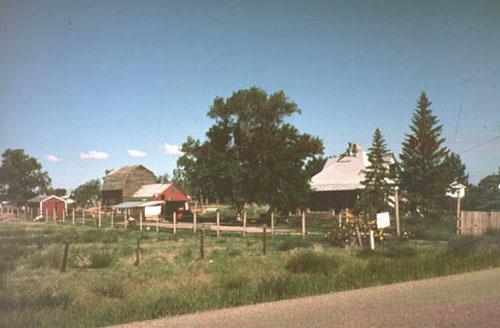 The Bar U Ranch was in continuous operation as a cattle ranch from 1883 until 1991. Since that time, ranch activity has been guided by interpretive priorities rather than those of the cattle industry. Beaulieu National Historic Site of Canada consists of a large, late-nineteenth-century residence situated on spacious open grounds which span the eastern end of a city block in central Calgary. Beaulieu was designated a national historic site of Canada because it is apparently a lone, early survivor of an upper-middle class eclectic mansion on the Canadian Prairies. Beaulieu is a fine example of a home designed in an eclectic Victorian style to accommodate the lifestyle and aspirations of an upper-middle class Prairie family, that of the Honourable James Alexander Lougheed and his wife, Isabella Clark Hardisty. Set within spacious, landscaped grounds, the house illustrates the then-fashionable robust, eclectic taste in design. Use of the finest materials and craftsmanship ensured that Beaulieu was both a comfortable family home and a glamorous stage for gatherings of Calgary's elite. 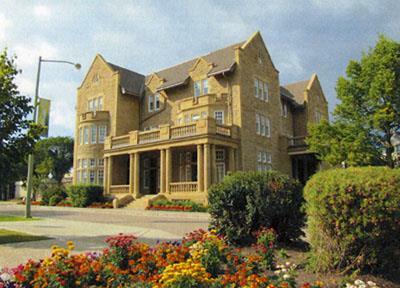 As a rare survivor of this type of mansion in the West, Beaulieu is a landmark on the Calgary landscape. Blackfoot Crossing National Historic Site of Canada is located at Blackfoot Crossing, near Cluny, Alberta. 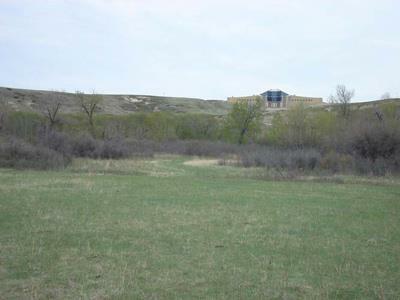 The site includes the grassy floodplain of the Bow River valley, south of the river known as Treaty Flats on the reserve of the Siksika Nation, as well as the original location of the ford over the Bow River (Blackfoot Crossing), the flood plain, and terraces to the north of the ford. Within the boundaries of the site there are numerous archaeological resources and historical features including Crowfoot's grave, Earthlodge Village and Treaty No.7 Signing Site National Historic Sites of Canada and the campsite locations of the five First Nations (Tsuu T'ina, Kainai, Siksika, Nakoda and Peikuni) who signed Treaty No. 7. Blackfoot Crossing, a ford on the Bow River, has been a focus of human activity for many generations and a meeting place for many peoples and aboriginal cultures. For this reason the site is of integral importance to the traditions of the Siksika Nation. At the cultural and geographic centre of traditional Blackfoot territory, it was one of the few places where the Bow River could be forded safely. Consequently, it was the site where representatives of the five First Nations of the Blackfoot Confederacy (Tsuu T'ina, Kainai, Siksika, Nakoda and Peikuni) met Canadian treaty commissioners in September 1877 to sign Treaty No. 7. The site continues to be significant to the modern Siksika community as the natural and cultural resources of Blackfoot Crossing bear witness to a continuous history. The rich variety of the archaeological resources at Blackfoot Crossing reflects the long history of the site and its importance in the traditions of the Siksika. The social and cultural values of the site for the Siksika Nation are enhanced by the rich variety of the archaeological resources that reflect the long history of Blackfoot Crossing. The remains included medicine circles, boulder effigies, cairns, buffalo and antelope jumps, Sundance sites, and tobacco planting fields. Nearby are the earthworks of the Earthlodge Village built circa 1740 by an as yet unidentified Aboriginal people, which bears witness to the interaction of different native cultures at the Crossing. In more recent history, the grave of Crowfoot and his last campsite and the monument to the Cree Chief Poundmaker are of especial importance to the Siksika Nation. In addition, the sites of the first Oblate mission, a whisky trading post, and an Indian Agency post, are evidence of more recent interaction of native and white cultures. British Block Cairn National Historic Site of Canada, at the Canadian Forces Base Suffield, 65 kilometres north of Medicine Hat, Alberta. Set on a high knoll on open prairie, the site consists of a large boulder cairn surrounded by a ring of stones, dating from around 1400 C.E. Within this ring are numerous other rock arrangements, including brands (rock arrangements in the shape of Latin alphabetic characters) and a human effigy figure. Located outside of the ring is a group of tipi rings, arranged in a rough arch shape, as well as numerous smaller cairns, mounds, and individual tipi rings. British Block Cairn is one of the best examples of a most striking site type: a large boulder cairn. The site encompasses numerous rock arrangements such as a boulder effigy, small cairns, clusters of tipi rings and, of particular note, a large boulder cairn measuring 9 metres in diameter and 2 metres in height. 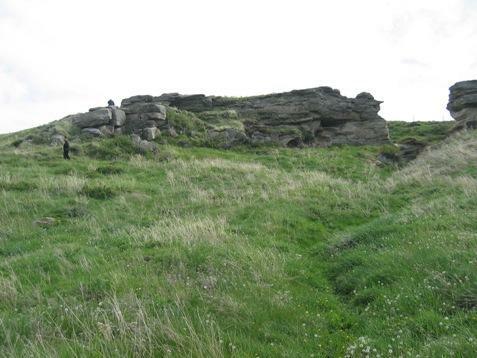 Set upon a high knoll, the site is a landmark visible for 15 kilometres or more. A large seasonal lake is found at the foot of the hill, which overlooks an extinct glacial outwash system to the south and east. Excavations at the site have yielded a considerable number of artifacts, including distinctive specimens such as stone pipes and unique pottery forms. Digging also suggests that there might have been a small burial pit at the centre of the pile. According to archaeological findings, the construction of the stone formations begins circa 1400 C.E., with additions being made a various points since then. 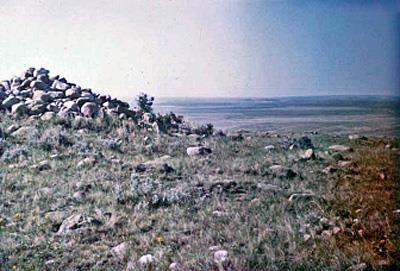 The potential spiritual significance of the rocks and physical elements within the site are important for the cultural heritage of the Niitsitapi on the western Canadian plains. The Brooks Aqueduct National Historic Site of Canada is located in a shallow valley, five kilometres southeast of Brooks, Alberta. 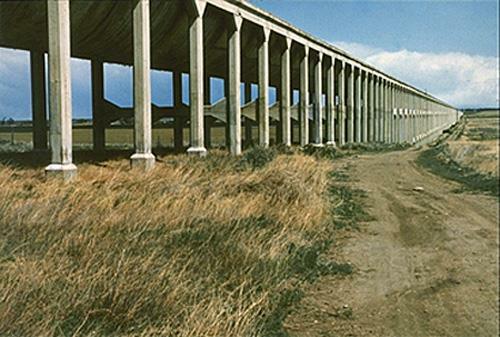 The Brooks Aqueduct is an impressive reinforced concrete structure over 3.1 kilometres in length featuring a large flume mounted on 20-metre high columns. The site also includes an inverted siphon, now filled to ground level with lean concrete, that carried water under the Canadian Pacific Railway (CPR) main line. Built by the CPR between 1912 and 1914 and originally used to bring irrigation waters to semi-arid soils, the reinforced concrete aqueduct is no longer in use. The Brooks Aqueduct was constructed by the Canadian Pacific Railway (CPR) between 1912 and 1914 as part of an extensive irrigation project intended to make land in the south-eastern region of Alberta suitable for farming. The aqueduct transported water from Lake Newell and the Bow River across a shallow valley running north to south in order to facilitate the irrigation of 55,000 hectares of land in the area east of Brooks. The structure was a major engineering achievement, and features a catenary-shaped flume mounted on 1,030 columns, and an inverted siphon to carry water under the CPR main line. When the Brooks Aqueduct was completed in 1914, it was the largest aqueduct of its type in the world, reaching over 3.1 kilometres in length. Stresses on the concrete from the freeze-thaw cycle, however, caused a deterioration of the aqueduct, which required annual repairs. In 1979, sixty-five years after its inauguration, a more efficient and larger capacity canal replaced the aqueduct. 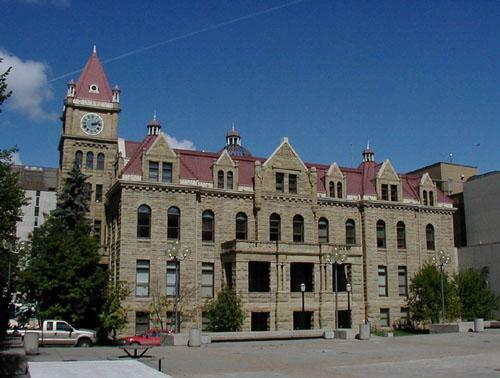 The 1911 Calgary City Hall, a four-storey sandstone building with central clock tower, is located on the corner of Macleod Trail and Seventh Avenue in downtown Calgary. Currently used as the office of the mayor and alderman, it is the architectural focal point of the City Hall complex that consists of two later additions - the 1962 four-storey brick extension to rear of the original building and the massive wedge-shaped, mirrored-glass structure that was built in 1985 and known as the Calgary Municipal Building. Its location on the eastern edge of the Central Business District, across from Olympic Plaza and near the terminus of Steven Avenue pedestrian Mall, forms the civic focal point of the city. Calgary City Hall is historically significant as an expression of the intensely optimistic mood of the pre-World War I economic boom. Officially opened in 1911, the City Hall was designed to address the growing city's need for administrative space. Policing and related services were located on the ground floor of the building, while municipal services and city council occupied the remainder of the building. Its design and finish was a bold declaration of the city's progress to date and its faith in its potential for future prosperity. The Calgary City Hall was designed by architect William M. Dodd in the Romanesque Revival style. The locally-quarried sandstone walls, steeply-pitched tile roof, stone-gabled dormers, central clock tower, and semi-circular arched main entrance are features characteristic of this style and together they create an imposing structure that stands as an architectural symbol of the high aspirations of the young city. The Cave and Basin National Historic Site of Canada commemorates the birthplace of Canada's National Park system, which began here in 1885. The growth and development of Canada's national parks are celebrated in interactive displays and exhibits. 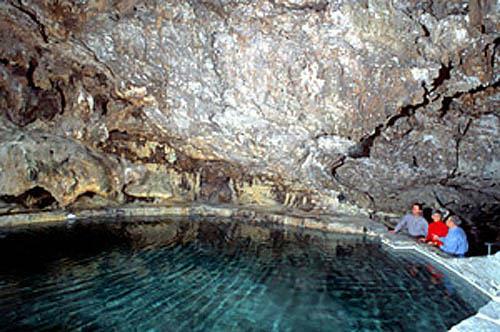 Naturally occurring, warm mineral springs can be found inside the cave, and outside in an emerald coloured basin. Cave and Basin National Historic Site of Canada is a hot spring located in Banff National Park. The site was developed for public use with a nearby swimming pool and bath-house and is now operated as a historic site open to the public. Cave and Basin was designated a national historic site of Canada because it is the birthplace of Canada's national parks. The heritage value of Cave and Basin National Historic Site of Canada lies in the integrity and legibility of the cultural landscape that developed around the hot springs. The mineral spring issues from Sulphur Mountain where surface water penetrates the rock, absorbing minerals and being heated by geothermal energy to emerge in a cave and in a nearby basin before joining the bow river drainage system below. Long known to local Aboriginal people, the site was found by non-Aboriginal people in 1859 and reserved for public use with the surrounding 16 square kilometres in 1885. By 1887, development of this reserve had evolved into Canada's first national park, the Rocky Mountain Park of Canada. 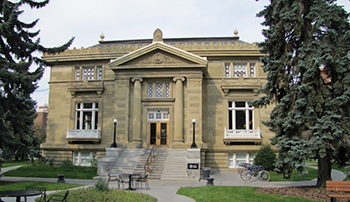 Central Memorial Library and Park, located just south of Calgary's downtown, opened to the public in 1912 and reflect official efforts to create an attractive and cultured new city in the west. The library is a handsome, classically-inspired building with a massive portico and grand staircase. It is one of the largest and most imposing of the 125 Carnegie libraries built across Canada. Designed as a unit, the library and its surrounding park have formed a social, cultural, educational, and memorial centre for Calgarians for more than a century. Developed during Calgary's first major economic and population boom at the turn of the 20th century, they illustrate the confidence and optimism of the young city of Calgary. The library was the project of a group of civic-minded, local women led by Annie Davidson, recognized now as one of the city's cultural pioneers. This group had advocated for the establishment of a free public library in Calgary for years, arguing that it would help turn the booming western town into a mature city. The library was funded in partnership with American businessman and philanthropist Andrew Carnegie. A great believer in the importance of free public libraries to communities, in the late 19th and early 20th century Carnegie donated over $56 million to help build libraries worldwide. Of this amount, $2.5 million funded 125 libraries in Canada, including three in Alberta. Like many Carnegie libraries, the design of Calgary Memorial Library is classically-inspired with its grand columned entrance, rich and ornamental exterior elements, and elegant interior. Upon opening, it quickly proved popular with Calgarians from all walks of life. As the headquarters for educational associations and various clubs, it became a cultural and educational hub, even housing the city's first art show. It served as the main library from 1912 until 1963, when it became a branch library and housed the archives and research centre for the Glenbow Museum. It now serves as a branch library and is home to the Muttart Art Gallery. The park surrounding the library is a formally designed landscape which includes a strictly symmetrical layout with elaborately designed beds, paths, lawns, specimen planting, two decorative water fountains, and numerous monuments and war memorials. It has evolved as a place of remembrance with its significant collection of memorials and well-attended Remembrance Day ceremonies. Coleman National Historic Site of Canada is a small community situated in the Crowsnest Pass, which is the major transportation route through the southern Canadian Rockies. The distinctive character and layout of the historic townsite is determined by a flat area of land bounded by the Crowsnest River to the south, and the irregular line of the steeply sided outcropping of rock to the north. The townsite itself is divided through the middle by the Canadian Pacific Railroad (CPR) railway line, which separates the mine site from the community areas on the north side. The remnants of the historic mine site consist of a few service buildings, some of which date from the first decades of the mine's operation, a row of coke ovens and the massive steel-frame and metal processing plant which dates from 1971. The main street of the town runs parallel to the tracks and consists of a visually cohesive collection of predominantly one- and two-storey buildings set flush to the property line, but featuring a mix of roof shapes and materials that include brick, wood-frame, stucco, and concrete. The street north of the main commercial areas features a mix of institutional and residential buildings, which include: the church high school, bank, fire hall, and the original offices of the International Coal and Coke. West Coleman, which is cut off from the rest of the town by an outcropping of rock, forms a distinctive area within the townsite that is characterized by a dense grouping of very modest, wood-framed miners' cottages set on narrow lots with shallow setbacks. The town of Coleman was founded in 1903 by the International Coal and Coke Company which developed the adjacent mine site. Although underground mining ceased around 1960, the surface plant continued to process coal extracted from nearby open pit mines until 1983. Earthlodge Village National Historic Site of Canada is a complex of earthwork features located on a grassy flat on the north bank of the Bow River near Cluny, Alberta. It consists of a semi-circular fortification ditch 250 metres long and 2.5 metres wide. The ditch, terminated on the east by an old dry channel of the Bow River, has changed shape due to erosion and flooding. Behind the ditch are a series of eleven circular "earthlodge" depressions encircling a large, central open area. The site is set entirely within the Blackfoot Crossing National Historic Site of Canada. Despite its location in the heart of Blackfoot territory, Earthlodge Village was built ca. 1740 by an unidentified people, possibly coming from the middle Missouri River region in North and South Dakota. The name "Earthlodge Village" refers to the Blackfoot name for the builders of the site rather than the site's features. The eleven depressions within the site are different in nature from the residential earthlodge dwellings found in the middle Missouri River region, built by Siouan speakers who lived in established villages often surrounded by ditches and palisades, and whose houses were large timber frame structures covered with sod or earth. In comparison, the features at Earthlodge Village are far smaller in size than the residential structures, and the wooden palisade instead ran inside the ring of depressions. Given the placement of the palisade, it is believed that the pits were not residential, but rather defensive in nature. As a fortified village, the site is the only one of its kind in Canada, and is one of only two in the North American Plains. Alberta plains oasis for rare and endangered species. Located less than an hour away from Edmonton, Elk Island National Park of Canada protects the wilderness of the aspen parkland, one of the most endangered habitats in Canada. This beautiful oasis is home to herds of free roaming plains bison, wood bison, moose, deer, and elk. Also boasting over 250 species of birds, the park is a bird watcher's paradise. 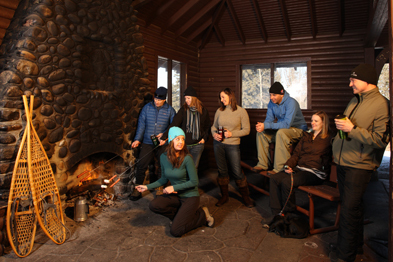 Be it for wildlife viewing, hiking, cross-country skiing, picnicking or overnight camping, there is something for everyone at Elk Island National Park. Elk Park was first established in 1906 as a federal game preserve to protect the declining elk populations of the Beaver Hills. Some of the last Plains Bison in the world were reintroduced to Elk Park in 1907. In 1913 Elk Park joined the Parks Canada family. Since that time Elk Island National Park has been Canada's source of disease free bison for re-introduction and conservation initiatives throughout its former range. 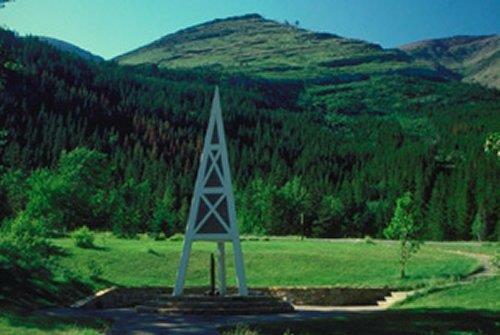 First Oil Well in Western Canada National Historic Site of Canada is located between Cameron Creek and Mile 5 of the Akamina Highway east of the townsite of Waterton, Alberta. It consists of a well-head opening and drill stem capped by a monument in the triangular shape of an oil derrick. The heritage value of the first oil well in western Canada lies in its association with the western Canadian oil industry as illustrated by the remains of this early well. 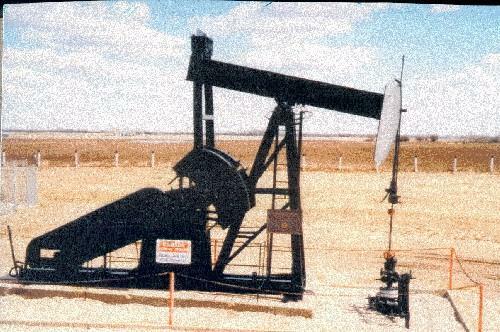 Western Canada's first oil well was discovered by John Lineham of the Rocky Mountain Development Co. in 1902. It had been drilling on the same site since 1901, and the oil was encountered at 1024 ft. While this was a small well that ran dry in 1904, its location signaled the presence of much larger fields that were later developed. Most of the visible remnants of the drilling operation were removed when the monument was erected over the well in 1968. Fort Assiniboine National Historic Site of Canada is located on the banks of the Athabasca River in the community of Fort Assiniboine, Alberta. The newly amalgamated Hudson's Bay Company built the fort in 1823 as part of a safer southern trading route connecting the Saskatchewan and Athabasca River systems. There are no known above ground remains of the fort. Fort Assiniboine was built following the merger of the Hudson's Bay Company and the North West Company in 1823. The fort was fortified, in 1825, after a road was completed between Fort Edmonton and Fort Assiniboine, creating a safer and faster southern route connecting the Saskatchewan and Athabasca river systems. It remained an important post for a quarter century until the Hudson's Bay Company again changed its shipping routes, excluding the fort. The scarcity of furs, the centralization of company administration, and the security of the Canadian-American frontier led to the abandonment of Fort Assiniboine in 1842. It was closed in 1877 and the abandoned shells of the buildings were burned down a short time later. Fort Augustus and Fort Edmonton National Historic Site of Canada is located on the north bank of the Saskatchewan River, 30 kilometres north-east of Edmonton, Alberta. The site is composed of two late-18th century forts: Fort Augustus, established by the North West Company from 1794 to 1795, and Fort Edmonton, established by the Hudson's Bay Company in 1795. The forts sit almost immediately adjacent to each other in an open field beside the river, marked by a Historic Sites and Monuments Board of Canada plaque and cairn. There are no known above ground remains of either fort. The North West Company founded Fort Augustus in 1794 or 1795 approximately 1.5 kilometres upstream from the confluence of the Sturgeon and Saskatchewan rivers. Fort Edmonton, originally called Edmonton House, was founded by the Hudson's Bay Company in 1795 and is located almost immediately adjacent to the North West Company post. The North West Company and the Hudson's Bay Company were drawn to this area in the late 18th century by the abundant fur resources along the river. The histories of Fort Augustus and Fort Edmonton are inextricably linked, as the two rival companies carried the flag and commerce of Britain by way of the great rivers from the shores of the Atlantic Ocean and Hudson Bay, to the Pacific and Arctic Oceans. After remaining at their North Saskatchewan River location for six years, the forts were abandoned in 1801 and moved approximately 30 kilometres upstream to what is now the city of Edmonton. After relocating several times, the final location of Fort Edmonton is designated as Fort Edmonton III National Historic Site of Canada on the grounds of the Alberta Legislature. Fort Calgary National Historic Site of Canada is a square-shaped wooden fort situated on the west bank of the Elbow River at its junction with the Bow River. Located on the same site as the original fort, the present structure is a reconstruction on a 12-hectare (40-acre) park within the limits of Calgary, Alberta. Established in 1875 as Fort Brisebois by the North West Mounted Police (NWMP), the fort included men's quarters, a guard room, stables and storage facilities surrounded by a palisade of vertical logs. The setting is a flat parcel of land which slopes gently towards the river and which supports several large trees. 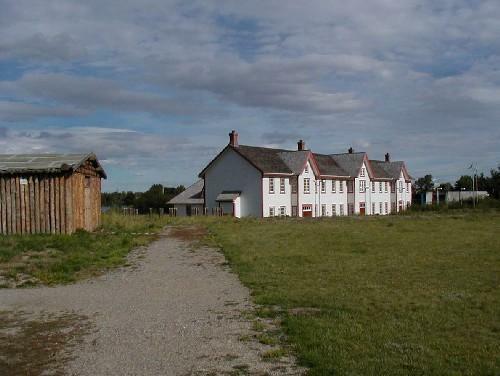 Named by Assistant Commissioner James F. Macleod after his Scottish ancestral home, Fort Calgary was a base for patrols to native communities and ranches, and for police duties during the construction of the C.P.R. railway. Rebuilt as a district headquarters in 1882, by some seventy men of 'F' troop of the NWMP, the post was the focal point for the new settlement of Calgary. Fort Calgary formed part of a network of forts constructed across Canada that played an important role in the extension and enforcement of federal law in Canada during the latter part of the 19th century. Fort Calgary served as a base for the NWMP forces. They were assigned the task of enforcing federal law in the district and suppressing the traffic of whiskey along the Bow River. Following the arrival of the NWMP contingent in April 1875 a strategic site overlooking the rivers was selected. Construction began in late summer and the fort was completed within approximately six weeks. The fort's outer walls were constructed of 3.5 metre pine logs floated from upstream and set in trenches 1 metre deep. Fort Chipewyan National Historic Site of Canada is an archaeological site located at Old Fort Point, south-east of the present-day town of Fort Chipewyan, in Alberta. Established in 1788 as the centre of northern trade, the fort sits atop a high rocky knoll overlooking Lake Athabasca. The site includes archaeological vestiges such as two large chimney piles, a large cellar pit, and four smaller pits. The heritage value of Fort Chipewyan lies in its evocation of the prosperous northern trade posts known under the same name. In 1788, Roderick Mackenzie of the North West Company established Fort Chipewyan at Old Fort Point on the south shore of Lake Athabasca. The abundant fur resources in the area made the location optimal for a fur trading post. By the early 19th century, however, ice breakage patterns of the lake, the proximity of trade, and the dilapidated state of the fort prompted John Finlay of the North West Company to relocate Fort Chipewyan two times, about 32 kilometres (20 miles) north-west to the northern shore of Lake Athabasca. The trading post quickly became the richest in North America. 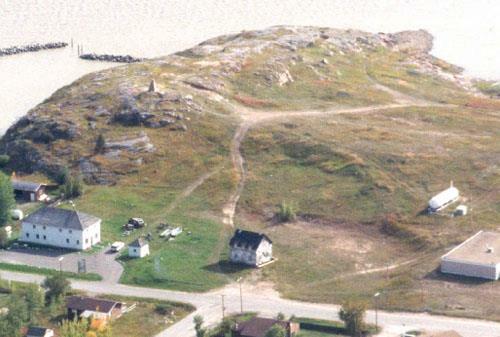 Fort Chipewyan continued to play a major role in the fur trade for over a century. The heritage value of the first Fort Chipewyan also lies in its association with Sir Alexander Mackenzie and his expeditions. It was a starting point for Roderick Mackenzie's cousin Sir Alexander Mackenzie, who led an expedition from the site down the Mackenzie River to the Arctic in 1789. He also departed from Fort Chipewyan on his journey to the Pacific in 1792-1793. Fort Dunvegan National Historic Site of Canada is situated in Alberta's Peace River Valley in the town of Dunvegan, 27 kilometres south of Fairview, Alberta. 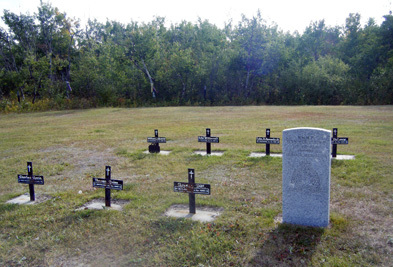 Situated on the northern shore of Peace River the site consists of the remains of the fort established there in 1805 by Archibald Norman McLeod as well as the modern-day interpretation centre. Fort Dunvegan was a substantial trading post between 1805 and 1918. A Historic Sites and Monuments Board of Canada plaque which was erected in 1951 stands in the vicinity of the original fort. In 1804 the North West Company and the XY Company amalgamated and the Northwest Company's uppermost fort on the Peace River, Fort Fork, was abandoned; it was decided that a new fort would be established further upriver. 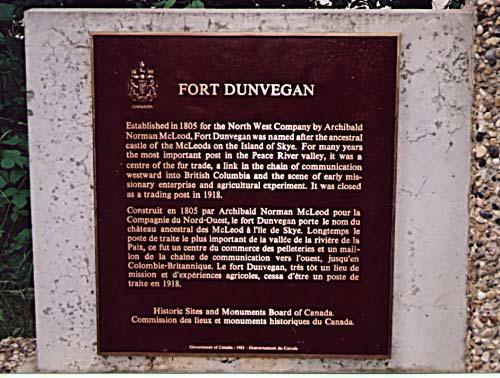 In 1805 Archibald Norman McLeod established the new North West Company's Fort Dunvegan on the northern bank of the Peace River. Fort Dunvegan was a substantial post including blockhouses and a magazine in addition to houses for the master and men of the fort. The fort was also the site of agricultural experiments carried out by Frederick Goedlike and Reverend John Gough Brick. In 1821 the Hudson's Bay Company and the North West Company amalgamated and Fort Dunvegan became a Hudson`s Bay Company post. 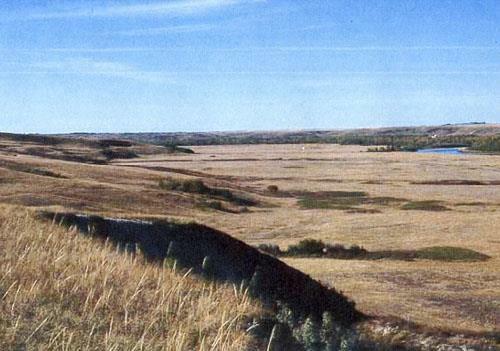 Hostilities with Aboriginal people in the area of the Peace River Valley in 1823 resulted in the 1825 abandonment of the fort by Chief Trader Hugh Faries. Fort Dunvegan was re-opened by Chief Trader Colin Campbell three years later and continued to operate as a major provision post until its closure in 1918. Fort Edmonton was the fur trade headquarters of the Hudson's Bay Company for a vast territory that encompassed what is today southern and central Alberta and south-eastern Saskatchewan. There were five Fort Edmonton sites. The final 1831 edition was located on what is now the site of Alberta's Provincial Legislature. Although dismantled in 1915, the City of Edmonton operates a reconstructed fort at Fort Edmonton Park which brings this period back to life. Join the costumed historical interpreters and experience life as it was at the 1846 Hudson's Bay fort and Cree Encampment. The Park also showcases Edmonton's history of 1885, 1905 and 1920, which are also interpreted through period streetscapes and exciting programs for all ages. Fort Fork National Historic Site of Canada is an archaeological site located on the east bank of the Peace River, southwest of the Town of Peace River, Alberta. It sits in a wooded area about ten kilometres above the mouth of the Smoky River. There are no visible remains of the fort associated with the first transcontinental journey of Alexander Mackenzie. 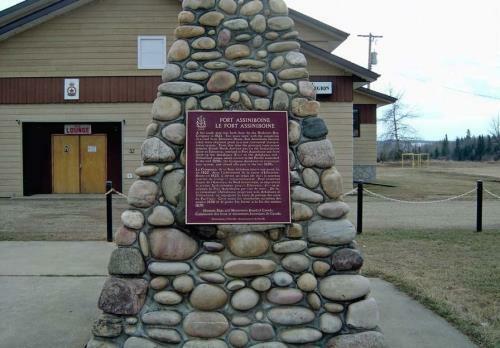 The heritage value of Fort Fork resides in its historical associations with the exploration of Canada, most notably by Alexander Mackenzie. Constructed in 1792, Fort Fork was the North West Company's uppermost post on the Peace River. In May 1793, Alexander Mackenzie wintered at the fort before setting out on his historic transcontinental journey to the Pacific. In the years following, Fort Fork was used as a provisional post and was known among North West Company posts as being in good condition with a garden and extensive living quarters. With the amalgamation of the XY and the North West companies in 1804-05, Fort Fork was replaced with Fort Dunvegan National Historic Site of Canada, which was founded farther upriver. Fort Macleod National Historic Site of Canada is located in what is now the Town of Fort Macleod, approximately 150 kilometres south-east of Calgary, Alberta. The site is situated at the western end of Macleod Island, overlooking the Oldman River. The site is partly covered by brush and by pasture and hay fields at its centre. In 1874, the Assistant-Commissioner of the North West Mounted Police, James F. Macleod, arrived on Macleod Island with a detachment of 150 men and constructed the first Fort Macleod. Though the fort was relocated to higher ground in 1883, the original Fort Macleod was the first North West Mounted Police (N.W.M.P.) post in Southern Alberta, and served as N.W.M.P. headquarters between 1874 and 1878. The fort enabled the N.W.M.P. to institute and maintain the law, and to suppress the whiskey trade. This helped gain the trust of the Blackfoot Confederacy, contributing to the peaceful settlement of southern Alberta. Fort Vermilion National Historic Site of Canada is located on the riverbank of the Peace River in the community of Fort Vermilion, Alberta. The fort was moved to its current location between 1828 and 1831, from which it continued to operate until the mid-20th century. The sole surviving component of the site is the Old Bay House, constructed between 1906 and 1908, which is the only Hudson's Bay Company factor's house on its original location in Alberta. 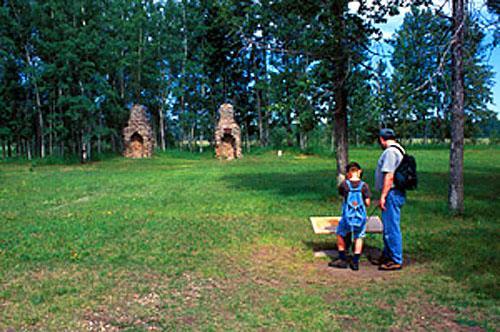 The heritage value of Fort Vermilion lies in its evocation of the fur trade posts known under the name Fort Vermilion I and II, both located in the Athabasca region. Until its amalgamation with the Hudson's Bay Company in 1821, the North West Company, through a succession of trading posts called Fort Vermilion, dominated the fur trade in the region. The Beaver and other Dene peoples, and the Cree First Nation, supplied furs, provisions, and leather for trade and company use west of the Rockies at posts in New Caledonia. 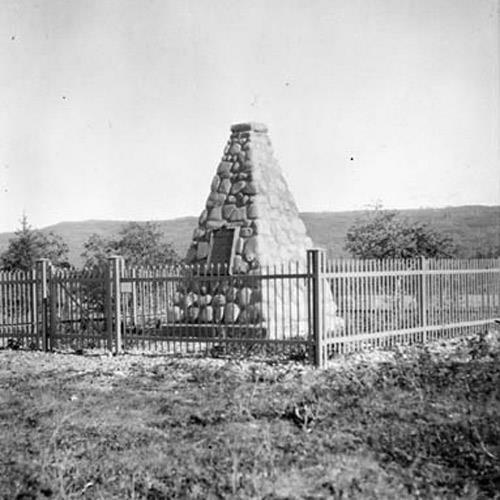 In 1788, Charles Boyer built the first post, from which there are no known remains, near Peace River to trade with the Beaver peoples. Between 1828 and 1831, Fort Vermilion moved 90 kilometers to its current location on the southern bank of the Peace River, where it formed the nucleus of the village of Fort Vermilion. From this post, the newly merged North West and Hudson's Bay Companies continued to operate into the 20th century, aiding in the gradual evolution of the site from a fur trade post to a settled community. Fort Whoop-Up National Historic Site of Canada is located on a grassy river valley terrace, near the confluence of the St. Mary and Oldman rivers, just south of Lethbridge, Alberta. While there are no remaining aboveground traces of the fort itself, a stone-lined well is visible and low depressions in the ground indicate the original location of the fort's cellar pits. As a result of an 1832 United States law prohibiting the sale of whiskey to Native Americans, two Montana traders, Albert B. Hamilton and John J. Healy, traveled to Canada and established Fort Hamilton in 1869. This "Whisky Fort" became a trading business that competed with the local Hudson's Bay Company (HBC). Although the HBC sold many of the same goods as Hamilton and Healy, including firearms, foodstuffs and textiles, among other trade items, the HBC sold rum in place of whiskey. The sale of whiskey and firearms from Fort Hamilton led to disorder among the First Nations in the area, and the fort was renamed Fort Whoop-Up in recognition of its reputation as one of the more dangerous and lawless forts in the northwest. The attempt to establish law and order within the region was one of the factors leading to the formation of the North West Mounted Police (NWMP) in 1873. In 1870, the original fort was destroyed in a fire. A second larger fort, located further north of the original site replaced it. This larger fort contained dwellings, a kitchen, a trade room, a blacksmith's forge, and an infamous saloon that was the scene of several dangerous incidents. Despite the violence, Fort Whoop-Up was an essential link in the transportation of pelts and hides, and remained the headquarters of trade between Canada and Montana until 1874 when the American traders abandoned the fort. Following the departure of the Americans, the NWMP used the site as an outpost of their Lethbridge detachment periodically between 1876 and 1897. Eventually falling into disrepair, the fort was badly damaged by fire in 1888, and was subsequently dismantled by local settlers for scrap metal and lumber. Just inside the Alberta border, the site of this tragic event is laden with memories of lives lived and lost: archaeological remains, a cemetery, and depressions in the earth representing the church, the mill, the milk house, stables... remnants of old wagon trails still exist. 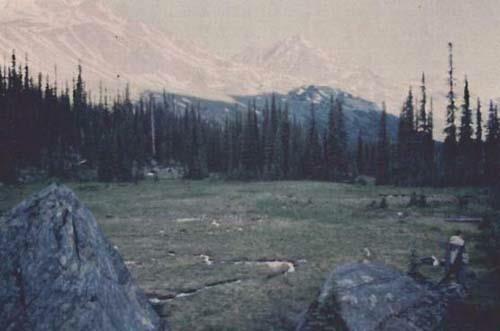 Frog Lake became a rallying cry for the Canadian Militia who were sent west to deal with the rising conflicts. Frustrated with the Canadian Government, especially the provision of food rations, Kah-Paypamhchukwao, also known as Wandering Spirit, and other warriors take control of Mishtahimaskwa's (also known as Big Bear's) Cree band and come to Frog Lake to take up issues with the Indian Agent. Tension erupts in the small settlement and nine people are killed and the rest taken hostage. The deaths at Frog Lake drive the Canadian Government to take a stronger law and order stance in the West. Frog Lake National Historic Site of Canada is an archaeological and historic site located in the community of Frog Lake, north-eastern Alberta, near the Saskatchewan border. The site is associated with a conflict that occurred between the Plains Cree and Canadian officials during the 1885 North-West Resistance. There are no standing structures on site however the settlement's remains are evident. Low rolling hills and valleys, lakes and woods surround the site which is marked by an HSMBC cairn and plaque. 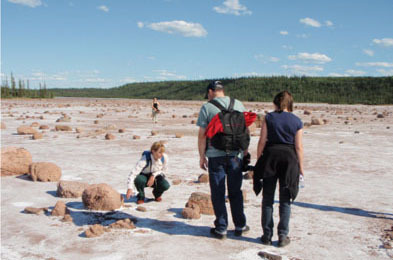 The heritage value of Frog Lake National Historic Site of Canada lies in its witness to the conflict as illustrated by those aspects of the site associated with the event and its gestation period, namely the site's location, unspoilt setting, and material disposition. The conflict, formerly referred to as the Frog Lake Massacre, occurred on the site of Farm Agency No. 15 established in 1879 to serve the neighbouring Wood Cree reserves of Unipouheos and Puskiakiwenin around Frog Lake. This in turn attracted a small non-Aboriginal settlement. In 1885, three years after adhering to Treaty No. 6, a Plains Cree band led by Big Bear (Mistahimaskwa) was encamped beside the agency. Deeply concerned for his people's future, Big Bear  a leader of those clinging to traditional values  still hoped to negotiate better terms, and held out from moving onto a reserve. The government approach of limiting rations to encourage settlement combined with a hard winter made conditions very difficult for Big Bear's Cree followers. When news of Métis victories at Duck Lake reached the camp, Big Bear's war chief, Wandering Spirit, responded to the insufficient food supply and harsh labour conditions imposed by the agency by leading an attack of Plains Cree warriors against it. Nine settlers were killed in the ensuing conflict. The site where this attack occurred has not been occupied since 2 April 1885, particularly because the Frog Lake First Nation holds that the site of Big Bear's camp is sacred and should not be disturbed. Frog Lake speaks to the point of transition of local First Nations from the free hunting life of the plains to the agricultural life of a reserve settlement. Government House is on a low promontory overlooking the Saskatchewan River in the Glenora area, a residential neighbourhood west of downtown Edmonton that was developed in the first decades of the 20th century. This building was constructed in 1912-13 on a large 28-acre property acquired in 1910 by the Province of Alberta for use as the official residence of the province's lieutenant governors. The property's surroundings have changed considerably since the construction in 1968 of the Provincial Museum of Alberta immediately north of the building. There are now parking lots to the south and the west, as well as a large, grass-covered, landscaped area that includes, among other things, formal gardens, a fountain and a sculpture. This impressive three-storey building was designed in accordance with the plans of architect Richard P. Blakey, who was chief architect of Public Works for the Province of Alberta from 1912 to 1923, under the direction of Allan Merrick Jeffers, chief architect of the Alberta Legislature Building (1907-13). Massive in appearance, it is made of sandstone from Calgary: the stones, which vary in size, are laid horizontally, while the trim and cornerstones are cut stone. It is irregular in shape and has gabled roofs. The main façade, which faces east, is uncompromisingly symmetrical. It has two large protruding gables flanking a carriage entrance made up of classical columns and pillars and topped by a balustraded balcony. The fairly simple ornamentation is limited to crenels and escutcheons carved in stone. The south façade is also imposing. It has a single large protruding gable to which is joined a semicircular rotunda with rectangular windows grouped together and topped with a crenel. A large covered gallery, whose twinned classical columns support a balustraded balcony, runs along the rest of this façade. The main public spaces for receptions are on the ground floor. The vestibule opens onto a spacious central hall around which the various rooms are arranged: the former library and the music room on the left, and the cloakrooms and current administrative offices on the right. The large dining room, which was originally two rooms (the dining room and the drawing room) is at the back. This floor, which has been restored, still has some of its original elements, such as doors, cupboards, trim, and panelling. On the second floor there is a rectangular receiving area. The far end of this space opens onto a balcony, and a small exhibit relating the history of the building has been set up on the opposite side, with display cases containing a few photos and artifacts. Five small meeting rooms surround this central space. The top floor, the third, holds the Alberta Room, a spacious conference room. For much of the last 5700 years, Aboriginal people have driven bison to their death over this cliff using a well-organized communal hunting strategy. The result is the oldest, largest and best-preserved buffalo jump known in North America. A complex of archaeological sites is centred here, including ceremonial sites on the ridge, and an extensive butchering area and campsite below the cliff. People took advantage of the natural topography and prevailing winds to gather bison in the hills to the west, and then funnel them through a series of drive lanes several kilometres long towards the jump. Heritage Hall  Southern Alberta Institute of Technology National Historic Site of Canada is a large, three-storey, early 20th-century college building prominently situated on the brow of the Bow River valley, which provides a panoramic view of downtown Calgary. Constructed in the Collegiate Gothic style in red brick with sandstone trim, it speaks to the growth of educational institutions in Canada in the early 20th century. The site is now part of a large institutional campus. Heritage Hall  Southern Alberta Institute of Technology is associated with the growing need for a larger skilled workforce, which had become a pressing challenge for Canadian educators and legislators during the early 20th century. Alberta addressed this need at the post-secondary level with the establishment of its Provincial Institute of Technology and Art in 1916. 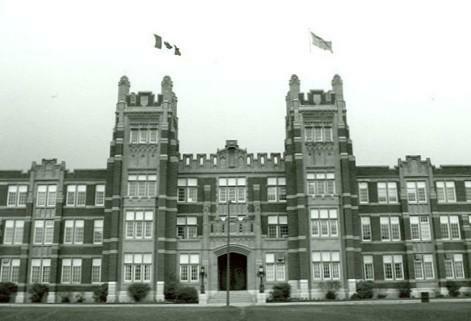 One of three original buildings at the Institute, Heritage Hall, was constructed between 1921 and 1922 to accommodate both the Institute and the Calgary Normal School. Equipped with specialized training facilities accommodated in an imposing Collegiate Gothic structure, the Institute heralded the inception of advanced technical education in this region of the country. Howse Pass National Historic Site of Canada is an early 19th-century trans-mountain transportation route across the Rocky Mountains, in western Canada. The pass extends through a striking mountain landscape comprising a river, trail, trees, glaciers and lakes. The pass extends from the confluence of the Howse River with the Saskatchewan River in Banff National Park of Canada to the confluence of the Blaeberry River with the Columbia River in British Columbia. The pass, intersected at its eastern end by a modern highway development, extends across the inter-provincial border between British Columbia and Alberta and falls within both provinces. The Alberta side of the pass is situated within Banff National Park of Canada and is administered by Parks Canada. The British Columbia side of the site is provincial crown land administered by the British Columbia Ministry of Forests. The heritage value of this site resides in its significance as one of the early trans-mountain routes to the Columbia River from the Saskatchewan River Valley during the early 19th-century fur trade period. The pass is also recognized as part of a traditional aboriginal trade and hunting route and link. In 1807, David Thompson, the experienced trader and cartographer, traversed the pass with a North West Company party. The pass was named after Joseph Howse, the Hudson's Bay Company employee who first crossed the pass through to the Columbia River country in 1809 by way of reconnaissance. After 1810, having been warned by the Pikani not to use this pass, Thompson sought a new northern route, while John McDonald of Garth working for the Nor'westers crossed in 1811. The actual period of use of the Howse Pass in fur trade times was brief, being limited to the first decade of the century. UNESCO World Heritage Site and glacial jewel of the Rockies. Offering visitors a more laid-back mountain experience - with equal options for adventure, discovery and relaxation. 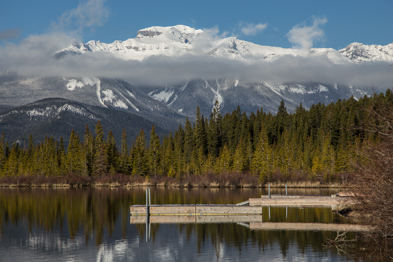 As one of Canada's oldest and largest national parks, established in 1907, Jasper was once seen as an island of civilization in a vast wilderness. More recently, it has become a popular getaway from urban life, and a special place to reconnect with nature. With nearly 1000km of trails, thousands of campsites, wildlife beyond measure and the second largest Dark Sky Preserve on the planet, there are endless ways to enjoy the magic of Jasper National Park. Jasper House National Historic Site of Canada is a forest clearing extending 110 metres along the Athabasca River to a depth of 150 metres back from its banks, containing the remains of at least three buildings from a former fur trade post, an associated cemetery, two historic trails, and other archaeological remains. It is located on the west bank of the upper Athabasca River, 1.4 kilometres north of Jasper Lake, on a channelized alluvial fan that has, in part, acted as a dam. The heritage value of Jasper House lies in its historical associations with the fur trade routes across the Rocky Mountains as illustrated by its location, setting and remnants of the associated community. This is the second (1830-1857) site of Jasper House, a post established by the Hudson's Bay Company on the eastern Pacific Slope in the early 19th century. 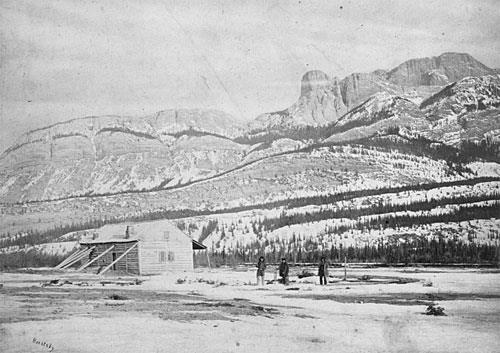 It was established as a staging post for brigades travelling to the company's Columbia District trading posts through the Athabasca Pass, and for a short time served as the connection and supply point between east and west. It was a major destination for travellers using the Athabasca and the Yellowhead passes and the First Nations route through the Smoky River Pass. Jasper Park Information Centre National Historic Site of Canada is a picturesque fieldstone residence (now information centre) set within a treed park within the Jasper townsite. Its picturesque profile, with steeply pitched roof and varied gables and porches, and its use of natural materials such as rough fieldstone, log and wood, captures the rustic aesthetic which became symbolic of early architecture within Canada's national parks. 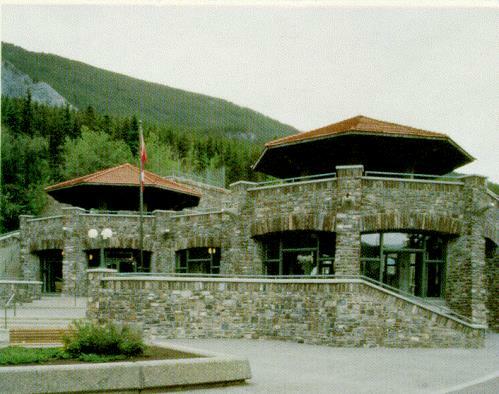 The heritage value of Jasper Park Information Centre lies in its expression of the rustic design tradition that came to symbolize Canada's national parks. Designed by Edmonton architect A.M. Calderon, Jasper Park Information Centre was built in 1913-1914 as a landmark. The park's first superintendent, S. Maynard Rogers, considered it an example of the unified architectural theme he envisioned for construction of the new Jasper townsite. Built as a mixed residence and administrative space, it is now used as an information centre for the park. Lac Ste. 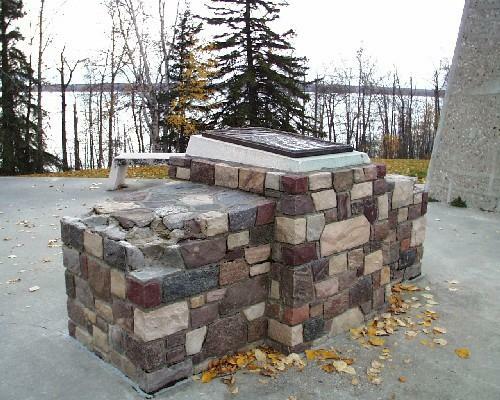 Anne Pilgrimage National Historic Site of Canada is located on the shore of Lac Ste. Anne, a broad, shallow lake in north-central Alberta. The pilgrimage site is a flat piece of land that extends down to the shores of the lake. The site consists of a landscape and a portion of a lake. On the site is a small church, a rectory, and a confessional building, Stations of the Cross, a cemetery and pilgrim facilities including a store, food concession stands, and washroom and shower buildings. On the right side, nearer the lake is the large, pentagonal-shaped Saint Anne shrine with roof and open sides, while at the lakes edge stands a gazebo where the blessing of the lake takes place during the pilgrimage. Trees and shrubs border the eastern boundary. Lac Ste. Anne Pilgrimage, used by Aboriginal peoples in the pre-contact period, became a pilgrimage site in 1889, managed by the Missionary Oblates of Grandin Province. The pilgrimage continues on an annual basis during the week of July 26th. People making the pilgrimage come from across North America to step into the holy waters and be blessed by a priest in the name of Saint Anne, the mother of the Virgin Mary. The Leduc-Woodbend Oilfield National Historic Site of Canada, located north-west of Leduc, Alberta, in a rural landscape about 25 kilometres south of Edmonton, is an upper Devonian dolomite oilfield made up of two major pools of oil at different depths below the surface, namely D-2 and D-3, and includes two other minor pools, Gilbert Blair and North Woodbend A. 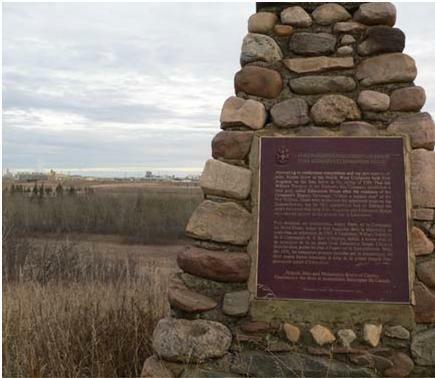 Marking the site is an Historic Sites and Monuments Board of Canada plaque located at the former Leduc No.1 oil well, outside the Canadian Petroleum Discovery Centre. The development of the Leduc-Woodbend Oilfield in 1947 marked a turning point in the history of the Alberta petroleum industry. After the drilling of Leduc No. 1, the geographical focus of the industry shifted from Turner Valley northward to the central plains area, where vast oil reserves were uncovered. Oil production, which had been in decline, expanded dramatically and the Edmonton area became the main oil refining, petrochemical, and distributing centre of the province. The boom in output enabled Alberta to become a major oil producer for the first time and permitted Canada to move toward petroleum self-sufficiency. Surrounded by trees, the Chalet at Maligne Lake is located at the end of Maligne Lake Road near the lakeshore. It is a rectangular, single-storey, horizontal log construction with a hipped-gable roof. It features an overhanging cornice supported on projecting logs, and a low, closed verandah. 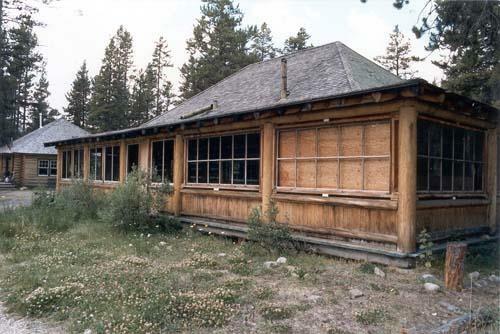 The Chalet is closely associated with the early history of Jasper and the development of tourism within the park. An example of a building designed as tourist accommodation it is also associated with Fred Brewster, the businessman responsible for its construction. The Chalet is a good example of a rustic structure that reflects the aesthetics favoured by National Parks in the west during the early to mid 20th century. It is a good functional structure built to reflect its picturesque setting. 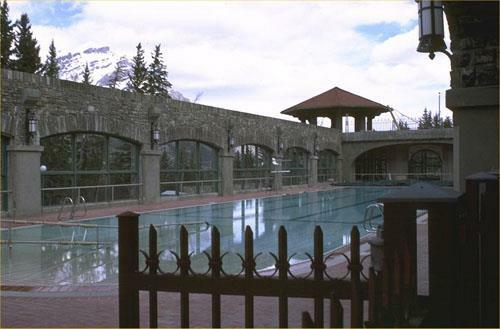 The Chalet maintains its unchanged relationship with its natural surroundings and reinforces the Jasper Park setting. Conspicuous by its elevated location, it is nonetheless compatible with the other buildings at the site, all of which reflect the same standard Rustic aesthetic. The Chalet is familiar to wardens and hikers within the park. Medalta Potteries National Historic Site of Canada is a former industrial ceramics manufacturing complex located in Medicine Hat, Alberta. 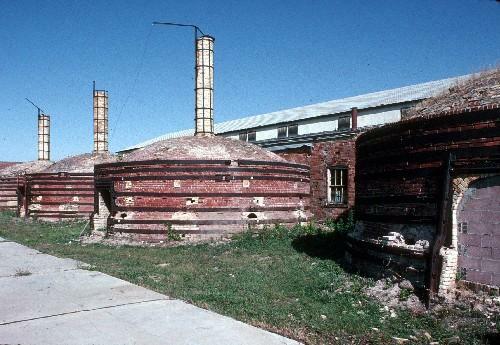 The site includes five interconnected brick and steel industrial buildings dating from 1912 to the 1930s, four beehive kilns (ca. 1920-1926), vestiges of five other buildings, a narrow-gauge rail system, an internal road network, and in situ machinery. These resources are distributed over an approximately 3.2 hectare property located on a spur line of the Canadian Pacific Railway in the heart of an historic industrial district that was an important centre for the clay products industry in western Canada. The Medalta Potteries National Historic Site of Canada illustrates the evolution of ceramics manufacturing from 1912 to 1954. It is directly associated with the history of the first plant on the site, the Medicine Hat Pottery Company (1912-1916) and its subsequent owner Medalta Stoneware Limited, which later became Medalta Potteries Ltd., operating on the site from 1916 to 1954. The business was the most successful and enduring manufacturing industry in Medicine Hat, the first western Canadian manufacturer to ship goods east of the Great Lakes, and from the 1920s to the 1940s, the largest manufacturer of pottery west of Toronto. As such, it is the most extensive in situ resource associated with the ceramic industry in Canada. 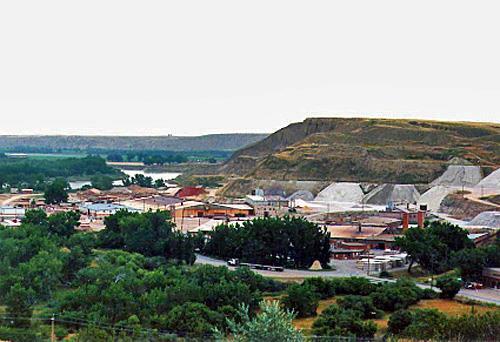 The historic place includes buildings and an industrial landscape that illustrate the organization of the industry, its physical connection to national transportation networks, its relationship to the community of Medicine Hat, the manufacturing processes used in the production of pottery from 1916 to 1954, and the work environment. The Medicine Hat Clay Industries National Historic Site is an extensive industrial landscape situated in an area of Medicine Hat, Alberta known as the North Flats. It includes features that illustrate the combination of factors that led to Medicine Hat's emergence as the largest supplier of clay products west of Ontario. Local clay beds, railway transportation and a ready supply of natural gas to fire the kilns were the key components that enabled a wide range of clay industries to spring up along the 1.2 kilometre Canadian Pacific Railway spur line that formed the spine of the clay industries district. The site's landscape has a linear form comprised of three concentrations of clay industry activity spread along the 1.2 kilometre. railway spur. Moving from west to east, these concentrations are comprised of the former Alberta Clay Products factory site and the adjacent Hycroft Pottery site, the Medalta and National Porcelain Company sites, and the I-XL property at the eastern end. Between these three concentrations are two open areas comprised of fields and flood plain. 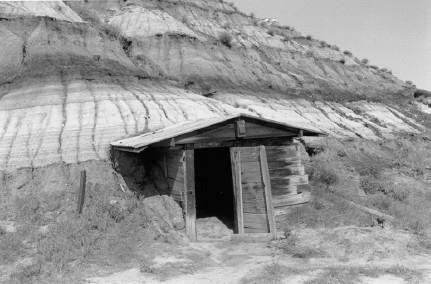 The heritage value of the Medicine Hat Clay Industries resides in the ability of the evolved cultural landscape to provide tangible evidence of the unique combination of factors that sustained the clay industries in this location. During the first half of the 20th century, Medicine Hat was the centre of the clay products industry in western Canada. The establishment of the McCord Brickyard in the 1880s marked the start of continuous brick manufacturing at this location. By 1907, early brickyards were displaced by larger ventures, drawn to the Medicine Hat Flats by municipal incentives, low-cost natural gas, direct access to the CPR line via spur lines and reduced freight rates. Early important manufacturers were Alberta Clay Products, Medicine Hat Brick and Tile and Medicine Hat Pottery Company Ltd. (renamed Medalta Stoneware Ltd. and then Medalta Potteries Ltd.). These three pre-1914 factories formed the backbone of Medicine Hat's clay products industry and played an important role in the boom period that shaped the character of western Canada. They were augmented by two later factories: Medicine Hat Potteries Ltd. (renamed Hycroft China Ltd.) and National Porcelain. Collectively, the operational histories of these plants, as well as the more modern I-XL plant, reveal the dynamics and complexities of the clay industry in Canada. Mewata Drill Hall / Calgary Drill Hall National Historic Site of Canada is a large, Tudor Revival style drill hall, located in Calgary, Alberta. The size of the structure, its very complete facilities, and prominent location all speak to the pride in which Canada's emerging military was held at the time of its construction, and to the central role the military was to play in Canadian history in the 20th century. 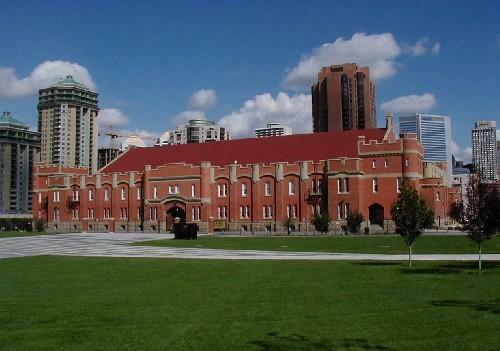 The Mewata Drill Hall / Calgary Drill Hall features elements of the third phase of drill halls constructed in Canada, characterized by a departure from the picturesque Romanesque Revival of earlier drill halls, to a more monumental late mediaeval Tudor Revival style. The reduction in superfluous ornamentation and the simplicity of composition reflect a desire to impose discipline on architectural design, typical of the third phase of drill hall construction in Canada. The scale and bold design of the Mewata Drill Hall / Calgary Drill Hall exemplify the wave of national pride that greeted Canada's strong performance in the South African War. In western Canada, this military enthusiasm led to a dramatic increase in militia enrolment and resulted in the construction of new drill halls and armouries on an unprecedented scale. The Mewata Drill Hall / Calgary Drill Hall, one of the largest and most fully equipped of its type, was built in 1917-1918. For many years it has been home to the King's Own Calgary Regiment and the Calgary Highlanders, both of which were established in 1910. Nordegg National Historic Site of Canada is situated on a heavily-forested hillside located in foothills of the Canadian Rockies about 90 kilometres west of Rocky Mountain House National Historic Side of Canada, in Alberta. 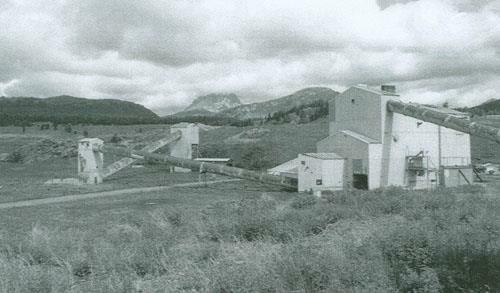 The original mine entrance and surface plant form a linear pattern spilling down the hillside, with two original mine entries at the top, followed by series of smaller mine service buildings and the remains of the plant power house. Below this service area is the sprawling complex of steel-frame structures covered in metal sheeting that made up the various parts of the 1951 coal processing plant. At the bottom of the site are the coal loading facilities and the railway spur line that carried the coal to markets. The heritage value of the site resides in all those coal mining and preparation related resources found within the defined boundaries of the national historic site of Canada. The mine operated from 1911 to 1955 and was also associated with the expansion of the railway transportation network during the early 20th century. It was financed through an agreement in 1909 between the Canadian Northern Railway and a group of German, Belgian and British investors lead by the German businessman, Martin Nordegg, who also managed the mine. Notre Dame des Victoires / Lac La Biche Mission National Historic Site of Canada is located on an isolated flat site surrounded by fields at the southern end of Lac La Biche, 10 kilometres west of the town of Lac La Biche, Alberta. It is composed of three principal mission buildings: a rectory, a convent, and a church that is still actively used by the community. There are also several outbuildings related to the farming operations of the mission scattered across the property, including a laundry, grain shed, chicken coop, outhouse and grist mill. Established in 1853, Notre Dame des Victoires / Lac La Biche Mission became one of the more important western Oblate missions by the 1870s. Originally located near the Hudson's Bay Company trading post, the mission was relocated in 1855 to its present site. Over the next decade a series of simple log-framed buildings were built, including a church, a rectory, a convent, a residential school and several farm buildings. 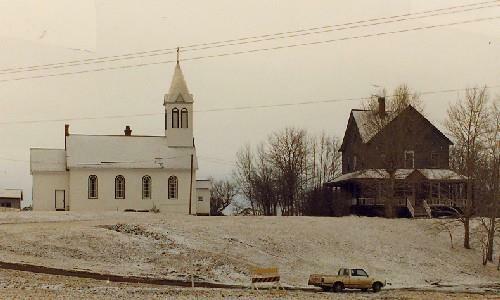 With the arrival of the Grey Nuns in 1862 and the use of local labour, the mission was self-sufficient and flourishing by 1870, and began serving local Cree and Dene converts, as well as the local Métis population. An industrial school was opened at the mission in 1885, in response to Dominion government policy, and by 1905 the convent building was renovated to house a residential school. Throughout the life of the Mission, most of the original buildings were rebuilt or underwent important renovations, reflecting its historical character as an isolated community where frequent renovations were key to its survival. Due to its geographical location, Notre Dame des Victoires / Lac La Biche Mission became the hub of an important portage route which ran overland from St. Boniface to the Mission and from the Athabasca-Mackenzie river system to Fort Good Hope. The Mission was used as a "trans-shipment" centre and warehouses were constructed for the storage of goods to be shipped to the missions further north. 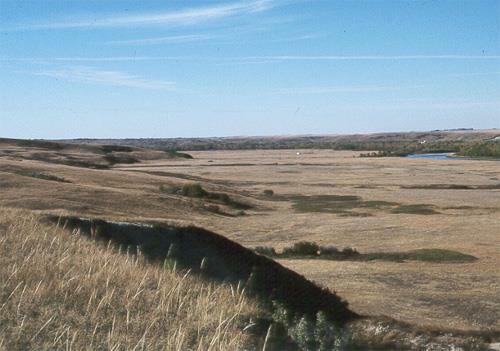 The Women's Buffalo Jump archaeological site is located on the south bank of Squaw Coulee about 3km northwest of Cayley. The site consists of low sandstone cliffs creating a 6 to 7 metre drop to the slope deposits below and bone beds representing the remains of numerous bison driving, killing, and processing events, which extend to the bottom of the valley of Squaw Coulee. The slope deposits provide evidence of site use dating from the Late Middle Prehistoric Period (ca. 2700-1500 years ago) into the Late Prehistoric Period (ca. 1500 to 250 years ago). Artifacts collected from this site are stored in the Royal Alberta Museum. The heritage value of the Women's Buffalo Jump archaeological site lies in the fact that its multiple bone bed deposits represent a well-preserved and clearly identifiable Aboriginal land use pattern that occurred in the Rocky Mountain Foothills over the last two millennia. Rapid and frequent burial of continuous cultural occupations by slope erosion has resulted in excellent preservation of up to 30 discrete cultural layers. These deposits represent the Middle Prehistoric Period, including layers 17 to 28 with Pelican Lake Phase (ca. 2700-2000 BP) materials and layers 15 to 21 with Besant Phase (2000 BP to 1500 BP) material, as well as the Late Prehistoric Period (ca. 1500-250 years ago), including a minimal amount of Avonlea Phase (ca. 1300 years ago) material and layers 1 to 13 containing Old Women's Phase (ca. 1300-250 years ago) materials. Among buffalo jump kill sites in Alberta, few are so well stratified or contain well-preserved materials in such quantity. In addition, the site is believed to be the origin location for the Blackfoot legend that describes the first marriage between men and women, and features the deity Napi as a central figure. The Palace Theatre National Historic Site of Canada is an early-20th-century movie theatre located in the heart of the business district of Calgary, Alberta. One of only four movie "palaces" still standing in western Canada, the theatre is distinguished by its large scale and its elegant exterior façade with neoclassical detailing. 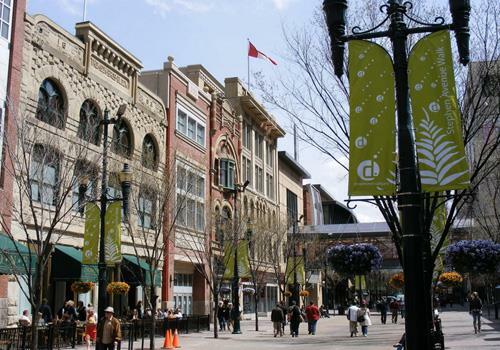 Set within the historic Stephen Avenue Mall, this theatre demonstrates the varied culture and history of Calgary. The Palace Theatre is one of three surviving Canadian examples of architect Howard C. Crane's work, and is a good example of an early phase of his international work. It typifies the Canadian cinemas designed by Crane for the Allen theatre chain. Classical details of the elegant exterior façade and luxurious interior are characteristic of Crane's palace theatres, although each theatre exhibits unique variations, such as the Palace Theatre's pedimented rectangular windows and added lounge space inside. The Palace Theatre is one of four surviving movie theatres in Canada built by the Allen brothers, Jay and Jule, and their father Bernard. During the early 20th century, the Allen family ran the biggest cinema chain in Canada, one of the largest in the world. One of the last theatres to be built by the Allen family in Canada, the Palace Theatre represents the impact of the Allen cinema chain on Canadian life and its contribution to the Canadian film industry. By promoting movies and movie going, and by erecting large, opulent movie palaces across the country, the Allen family helped to elevate movies to a form of reputable, accessible and affordable entertainment. 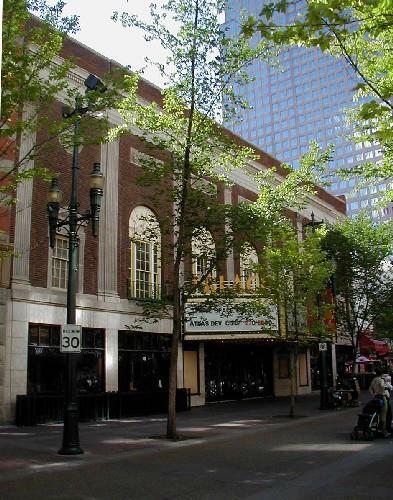 The Palace Theatre fulfilled an important role in the cultural life of Calgary by providing an elegant setting for a wide variety of films and live entertainment. The Allens' were strong promoters of Canadian content and provided a venue for artists to share their talent, which included being the first home of the Calgary Philharmonic Orchestra. Typical of other movie palaces of the day, its early programs were varied, and included organ recitals, orchestral selections and even variety shows. The Palace is historically associated with early radio in Alberta, and was the original home of William "Bible Bill" Aberhart's radiobroadcasts on religious themes, recorded with a live audience. Beginning in 1925, Aberhart used the broadcasts to disseminate his religious and political ideas, leading to the founding of the Social Credit party, and to Aberhart's election as Alberta premier (1935-1943). The Prince of Wales Hotel is a large hotel, designed in a Swiss-chalet style. It is picturesquely situated on a promontory overlooking Waterton Lake and the town site of Waterton Lakes National Park. 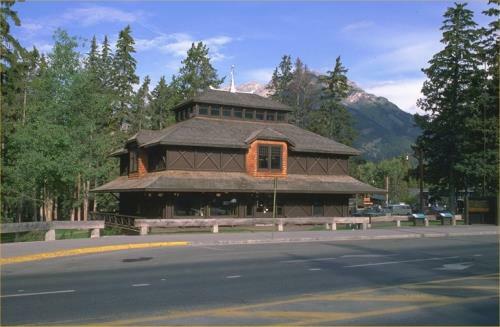 The Prince of Wales Hotel was designated a national historic site in 1992 because it is constructed in the Rustic Design tradition and it is associated with tourism development in the national parks. 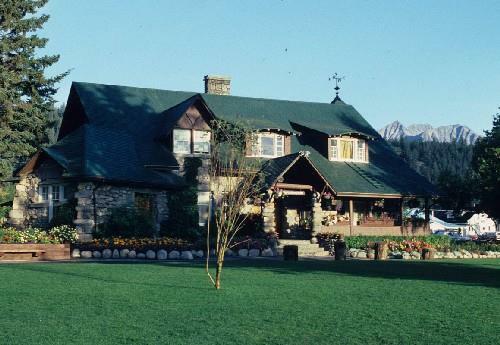 Built in Waterton Lakes National Park by the Great Northern Railway (GNR) as the only Canadian link to a network of American park resorts, the Prince of Wales follows the Swiss-chalet theme established for GNR resorts. The design theme extended the bold Rustic aesthetic used in Canada's national parks during the early 20th century. Built in 1926-7, the Prince of Wales Hotel represents the golden age of railway resort development in Canada. The construction of a large hotel was considered vital to the success of the national park as a tourist destination. The hotel functions as the pre-eminent resort facility within the park. 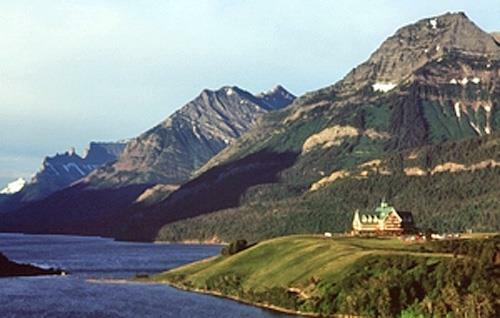 The hotel's striking design and spectacular setting make it a landmark and symbol of Waterton Lakes National Park. Established in 1913 and developed until 1942, this garden is a showcase for the horticultural, ecological, and aesthetic possibilities of gardening in the harsh climate of Calgary. Its creation demonstrates the need to illustrate the potential of gardening in Western Canada. In its heyday, it was regarded as one of the most beautiful and successful gardens in Western Canada, combining the informal aesthetics of the Edwardian Arts and Crafts movement with the structure and content of the highly popular alpine rock garden typology. Its founder, William Roland Reader, was one of a small number of municipal parks superintendents in Canada who significantly shaped the open space systems of their cities through professional skill and knowledge, personal energy, dedication, and long-service. This garden supported horticultural work in the larger urban parks system, including the adjacent cemeteries developed by Reader. Reader Rock Garden is built into a steep hillside south of downtown Calgary. It is an Arts and Crafts style alpine rockery, a garden type popular in Europe and North America at the beginning of the 20th century. Rock gardens of this type feature naturalism, informality, hardy plant species, and microscopic alpine settings within the garden. Reader Rock Garden consists of a matrix of rock paths, steps, and walls that form numerous planting beds divided into sections containing thousands of native and non-native plant specimens. 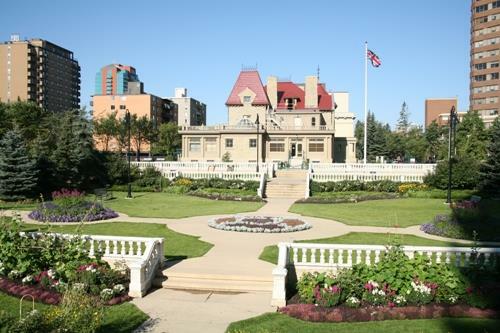 Although the century-old garden can be appreciated for the beauty of its plantings and the ingenuity of its design, it is also interesting as an example of how the horticultural possibilities of the Canadian Prairies were promoted when European settlement in Western Canada was in its infancy. Reader created one of the few significant gardens in Western Canada in an environment believed to be hostile to agricultural endeavour. Undaunted by desert-like conditions, chinook winds, and extremes of temperature, his personal garden became not only a vehicle for promoting settlement but also a successful experiment in civic beautification. Taking inspiration from the City Beautiful movement, which linked civic beauty with social progress, as well as Thomas Mawson's garden-city plan for Calgary, Reader worked tirelessly to advance the City Beautiful principles he believed would draw settlers to the region. Species cultivated successfully in Reader's garden and propagated in his nurseries were planted throughout Calgary as part of the Calgary Parks' mission. Private citizens were encouraged to follow Reader's example, having also been invited to visit his garden and take inspiration from it. 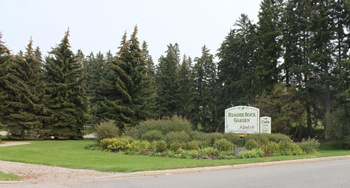 To the extent that trees, parks, and gardens of all kinds can be seen to flourish in southern Alberta, they owe a significant debt to the horticultural achievements of William Roland Reader, the fruits of which can be enjoyed in the Reader Rock Garden today. Rocky Mountain House...the forts are gone but the name remains. This is a story of trade, exploration and competition, but above all it is a story of people! In 1799 the North West and Hudson's Bay companies set up rival posts at the end of the fur trade line on the North Saskatchewan River. Competition for trade was fierce at Rocky Mountain House, and during its 76-year history, nine different Aboriginal cultures came here to trade. Explorer, fur trader and mapmaker, David Thompson used the North West Company post as a base for finding a pass across the Rocky Mountains. Today, Parks Canada protects the archaeological remains of four trading posts while presenting the site's history. The heritage value of Rocky Mountain House lies in its historical associations as illustrated by its setting and archaeological remains. Rocky Mountain House was established by the Northwest Company in 1799 on a site frequented by the Blackfoot people, and close to Acton House, established nearby by the Hudson's Bay Company at the same time. It served initially as a post on the transcontinental route, then as a fur trade and provisioning post and boat-building operation, then as the focal point of the Hudson's Bay Company's strategy towards the American competitors on the Missouri River. Its occupation was not continuous during the fur trade, and posts were rebuilt and replaced over the years using at least four different sites (1799-1821, 1835-1861, 1868-1875 and the site of Acton House, 1799-1835, respectively). After 1875 there was no permanent occupation of the site. Rundle's Mission National Historic Site of Canada is located on the north shore of Pigeon Lake, in Alberta. Associated with Reverend Robert Terrill Rundle, the Wesleyan chaplain to the Hudson's Bay Company, the site was selected in 1847 for the establishment of a permanent mission. While there are no visible resources of the original mission, archaeological testing has revealed evidence associated with early mission buildings, including remains of houses, an artesian well and possible pre-contact resources. In 1840, Reverend Robert Terrill Rundle was one of four Wesleyan Methodists invited by the Governor of the Hudson's Bay Company to establish missions in Rupert's Land. When Rundle arrived at Edmonton, he was the first missionary of any faith to serve in the prairie region between the Pacific Ocean and Norway House, in Manitoba. Reverend Rundle traveled extensively throughout the area for several years before attempting to establish a permanent mission. In 1847, he selected a site on Pigeon Lake that became the first Protestant mission in the prairies. After Rundle was forced to leave the west due to ill health, responsibility for developing the site, known as 'Mission Beach,' belonged to Benjamin Sinclair, a lay preacher, and his wife, who managed the mission for the next few years until leaving for Notre Dame des Victoires / Lac La Biche Mission. The mission was briefly re-established in the mid-1850s, but was unsuccessful until almost a decade later when a permanent mission was created by John and Abigail McDougall, which operated until 1906. Ski lodge in rustic vernacular, 1930-31. 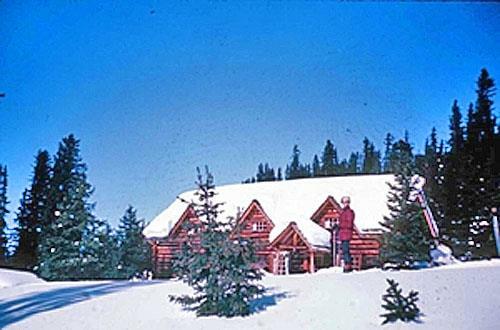 The Skoki Ski Lodge is a backcountry ski lodge facility built during the 1930s. It is located on the banks of Little Pipestone Creek, in the Skoki Valley north of Lake Louise, in the mountains of Banff National Park. The facility comprises six buildings and their surrounding landscape, linked by a system of trails and footpaths. The built heritage includes: the main lodge (1930-6), the Honeymoon cabin (1932), the Wolverine cabin (1932), the Creek cabin (1936), the bunkhouse (1936), and the former bathhouse (1936). The Skoki Ski Lodge was designated a national historic site in 1992 because it is constructed in the Rustic Design tradition and it is associated with tourism development and outdoor recreation in the national park. Skoki Lodge is a rare and well-preserved illustration of the early visual identity of the mountain parks and of the early days of skiing and ski tourism in Banff National Park. Built by a group of local ski pioneers as a destination for backcountry ski tourists, it was the first such facility to operate on a commercial basis in Canada. The six buildings comprising the site are excellent examples of the log building tradition associated with Banff National Park. The use of local materials is consistent with the Rustic Design tradition established for national parks. The site was built and operated by The Ski Club of the Canadian Rockies under the leadership of ski pioneer Cliff Whyte. It was managed during the early years by local artists and philanthropists Peter and Catharine Whyte and expanded in 1935-6 by manager Jim Boyce. St. Patrick's Roman Catholic Church National Historic Site of Canada is located on a large lot near the bridge crossing of the South Saskatchewan River to downtown Medicine Hat. Constructed between 1912 and 1914, this church is distinguished by its soaring twin spires, pinnacles, and recessed arched entranceway, all executed in pale, smooth concrete. Designed according to a cruciform plan, the church is connected to the modern rectory of St. Patrick's parish. Completed in 1914, St Patrick's was designed by American architect Manley N. Cutter, using reinforced concrete. Through the use of modern materials and the relatively severe and planar quality of the building, St. Patrick's represents a marriage of an early twentieth-century aesthetic with French Gothic Revival details. Featuring twin towers topped by polygonal spires, a recessed pointed-arch entranceway, arched stained glass windows, and rose windows, St. Patrick's represents a fine example of the Gothic Revival style, adapted with modern construction methods and materials. Major additions such as the hammer beam ceiling, installed between 1931 and 1932, the rose windows on the east and west transepts, added in 1955, and the copper exterior roofing, added in 1977 to prevent the leaking of the original concrete roof, are sympathetic to the original design. Stephen Avenue National Historic Site of Canada is a historic district in downtown Calgary, also known as Old Stephen Avenue. It consist of nearly three dozen commercial buildings from the 1880-1930 era (known as the Sandstone Era), mostly retail properties, with several former banks and one church. The heritage value of Stephen Avenue resides in its distinctive character as a late-nineteenth-century retail streetscape in a growing prairie urban centre. Stirling Agricultural Village occupies one-square mile (260 hectares) of land in the heart of the short-grass prairie of southern Alberta, appearing as an oasis of trees and farmsteads amid a flat, open landscape. The one-section plat is laid out in a regular grid of wide streets with each ten-acre (4.1 hectares) block divided into large lots with widely spaced, wood-frame houses, agricultural outbuildings, gardens and animal pens. The village also includes a commercial area, a school and a church. Stirling Agricultural Village was designated a national historic site of Canada because it is the best surviving example of a Mormon agricultural village. The heritage value of the village resides in its illustration of a typical Mormon settlement form from the turn of the twentieth century. It was introduced to southern Alberta by members of the Church of Jesus Christ of Latter-day Saints who settled in this region during the Great Wheat Boom era from the late 1890s to 1914. 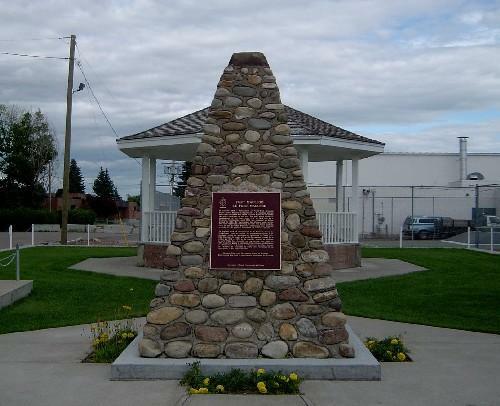 The village of Stirling was founded in 1899 through a partnership between the Alberta Railway and Irrigation Company and the LDS Church to bring American immigrants to build an irrigation canal and found two villages, Stirling and Cardston. The Suffield Tipi Rings National Historic Site of Canada is located on rolling hills overlooking the South Saskatchewan River, in Alberta. The site encompasses 14 sets of archaeological remains relating to the cultural occupations of Plains First Nations peoples, featuring tipi rings, medicine wheels and various other rock arrangements. The tipi rings are located on the uppermost terraces above the river level and just below the level of the adjacent prairie to the west, while the rest of the petroforms are distributed across a large expanse of open land and alongside the river. The numerous archaeological sites at the Suffield Tipi Rings are set within Canadian Forces Base (CFB) Suffield, and cover more than 450 square kilometres. The site features fine examples of rock formations created by Plains First Nations, including numerous tipi rings, medicine wheels, small cairns, and linear boulder alignments. 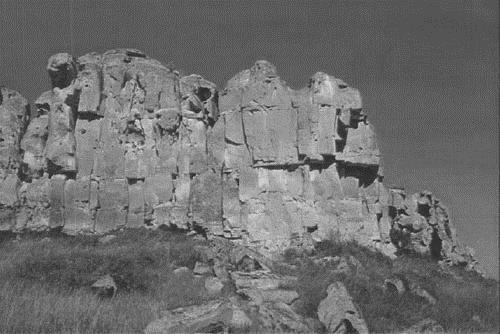 These rock formations are linked with habitations and ceremonies of the Plains First Nations, and have been dated to 1430. Tipi rings and boulder features were once common on the plains, but steady urban and industrial development along with intensive farming has eradicated them in most areas. Sulphur Mountain Cosmic Ray Station National Historic Site of Canada is the site of a former laboratory located near the summit of Sulphur Mountain, in Banff National Park of Canada. The remaining concrete foundation is accessible only by foot. The heritage value of Sulphur Mountain Cosmic Ray Station lies in its location, the legibility of its remains, and their association with an important worldwide scientific phenomenon. The Sulphur Mountain Cosmic Ray Station was one of nine Canadian monitoring stations built in 1956-57 to meet Canada's commitment to the International Geophysical Year of 1957-58 organized by the International Council of Scientific Unions. Situated at an altitude of 2383 metres, it became Canada's most important cosmic ray observatory, contributing to our understanding of how the sun effects the earth's environment. Its sponsor and initial occupant was the National Research Council of Canada, although the University of Calgary assumed operation of the laboratory from 1960-1978. During this period, the size of the original building was expanded to accommodate an upgrade of its monitoring equipment. Once the station closed, both the building and its equipment were removed in 1981. The Temple of the Church of Jesus Christ of Latter Day Saints National Historic Site of Canada in Cardston, Alberta, is a monumental granite building sited on a rise in the middle of a large, landscaped site, set against the dramatic backdrop of Chief Mountain. The building's severe, interlocking geometric shapes ascend in a pyramidal shape, evocative of Pre-Columbian architecture. Located in the heart of the town, both geographically and spiritually, the temple continues to serve its religious function. The Temple of the Church of Jesus Christ of Latter Day Saints was designated a national historic site of Canada in 1992 because: the building is constructed in the finest of materials and exhibits an exceptional level of craftsmanship; it is a striking modern building dominating Canada's first Mormon settlement. The temple is a striking example of modern building design in the Prairie School style of Frank Lloyd Wright. Designed by the American architects from Salt Lake City, Hyrum Pope and Harold Burton, the building is a radical departure from other Mormon temple designs. The exterior, mainly the work of Pope, is reminiscent of Wright's Unity Temple in its strong horizontal lines with contrasting vertical emphasis. The same aesthetic informs the interior designed by Harold Burton. Utilization of Prairie School architectural motifs and the building's monumentality reflect both architects' desire to achieve a unity of both "modern and ancient" in the building design. The Temple of the Church of Jesus Christ of Latter Day Saints is also notable for its use of high quality materials and its exceptional level of craftsmanship. Pope and Burton were followers of the Arts and Crafts movement which strove for continuity of design from exterior structure to interior detailing and furnishing. The high quality execution of the interior features is evident in the craftsmanship seen in inlaid and paneled hardwoods, interior furnishings and light fixtures. Although construction started in 1913, it was not until 1923, when the interior finishes and artwork had been completed, that the building was consecrated. The temple sits on a landscaped square at the town's centre. In the 1950s, an early wooden tabernacle that shared the site was demolished and the area was landscaped to give the grounds a more open appearance. Closure of an existing road allowed the erection of a new temple-fronted courtyard and visitor centre, which both blend with the original architecture. Over the years other additions have included a small area on the east side as well as the redecoration and modernization of interior spaces. 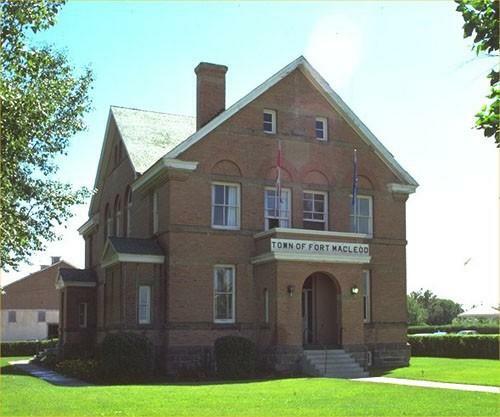 The Territorial Court House National Historic Site of Canada is situated in Fort Macleod in southern Alberta. Built of red brick and trimmed with sandstone, the former court house is a two-and-a-half-storey building of domestic appearance with a rectangular footprint. The cross-gabled design features large, arched windows, returned eaves and projecting porches. Although the building has been converted to house the town's municipal offices, the interior still retains some of the original features and finishes. 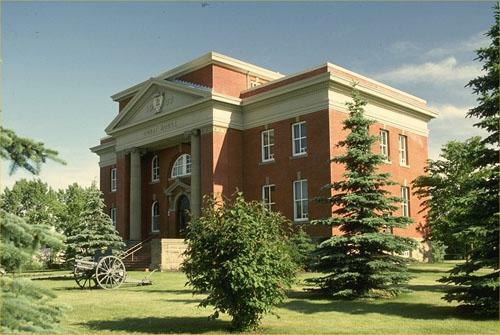 The Territorial Court House served as the seat of justice for southern Alberta for 67 years. 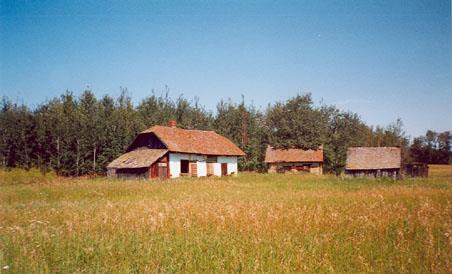 Between 1888 and 1905 the Government of Canada built a dozen court houses to serve the new settlements of the prairies. Most of these buildings were phased out of service and eventually demolished following the implementation of provincial court systems in Saskatchewan and Alberta in 1907, but the Court House at Fort McLeod was an exception. Completed in 1904 as a territorial court house, it remained in use until 1971. The Territorial Court House was one of three constructed from a standard plan produced by the federal Department of Public Works under the direction of Chief Architect D. Ewart. Treaty No. 7 Signing Site National Historic Site of Canada is located at Blackfoot Crossing, near Cluny, Alberta. 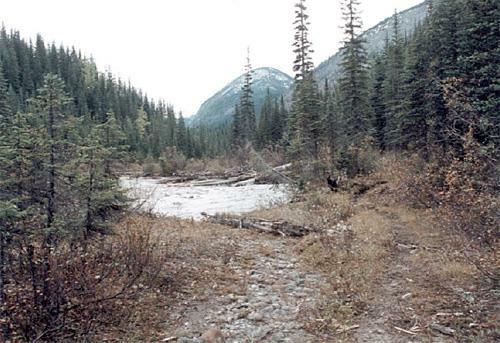 It is composed of a broad open flood plain on the south side of the Bow River, known as Treaty Flats. The site is included within the limits of Blackfoot Crossing National Historic Site of Canada, which has preserved an undeveloped portion of the wide river valley. It was at this site in September 1877 that representatives of the Siksika, Pekuni, Kainai, Nakoda and Tsuu T'ina peoples met with representatives of the Crown to sign Treaty No. 7, which mainly concerned territorial claims. 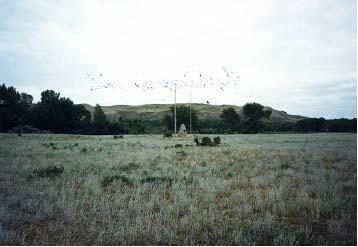 The site, which is part of the Siksika Indian Reserve No. 146, includes landscape features and archaeological remains that were significant during the signing of the treaty. By 1877, many of the western Plains native peoples had signed treaties with the Canadian government following the decline of the buffalo and the incursion of European settlers into their territory. Consequently, that year arrangements were made for representatives of the five nations in the Blackfoot Confederacy  the Siksika, Pekuni, Kainai, Nakoda and Tsuu T'ina  to meet with representatives of the Crown at Blackfoot Crossing to negotiate a settlement under Treaty No. 7. Blackfoot Crossing, a ford on the Bow River, was chosen for the treaty signing site because its natural and cultural resources made it an important camping and meeting place in the heart of Blackfoot territory. Treaty negotiations between the Blackfoot and Crown representatives led by Commissioner David Laird began September 17, 1877, and lasted for three days. Isapo-Muxika, also known as Chief Crowfoot, emerged as a leading spokesman for the Blackfoot with the help of Chief Red Crow of the Kainai. Treaty No. 7 facilitated the peaceful settlement of 129,500 square kilometres (50,000 square miles) of land in southern Alberta to the Crown, in return for reserves, the promise of livestock, farming implements and other considerations. The Turner Valley Gas Plant is a petroleum industrial complex comprised of 22 metal buildings and related infrastructure constructed from the 1920s to the 1970s. The triangular site, covering 12.8 hectares on the north bank of the Sheep River, is located 40.23 kilometres southwest of Calgary in the town of Turner Valley, Alberta. The gas plant is now operated as an historic site. The Turner Valley Gas Plant is significant for its association with the exploration and discovery of the Turner Valley Oil Field. The Turner Valley Gas Plant is the site of Dingman No. 1 and Dingman No. 2, two early gas wells that established the Turner Valley as the most important petroleum field in Alberta. Further discoveries in the Turner Valley field occurred in 1924 (Royalite No. 4) and again with the discovery of crude oil in 1936. Its importance waned with the discovery of crude oil at Leduc Alberta in 1947. Turner Valley Gas Plant's physical significance rests in its illustration of a complex of buildings, pipelines, utility systems and other infrastructure that form a unified production facility designed to extract and process a wide range of petroleum by-products from the raw gas. It is the earliest surviving example of a pre-1960 petroleum industrial plant in Canada. The original buildings constructed by the Calgary Petroleum Products Company Limited during the initial period of development were destroyed by fire in 1920. 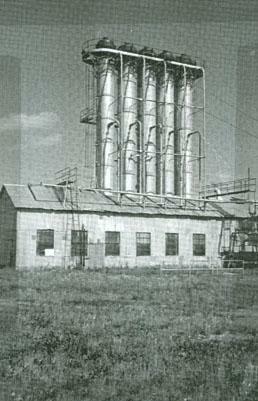 The plant was acquired and rebuilt by Royalite Oil Company, a subsidiary of Imperial Oil. The new buildings were constructed of metal and widely spaced on the site to prevent the easy spread of fire. The bulk of the extant buildings and infrastructure were constructed in the 1930s with later additions as the plant expanded and technology changed. The plant illustrates the evolution of the petroleum technology up until the 1950s, including the first high pressure lean oil absorption extraction facilities in Canada, the first propane receiver plant in Canada, one of the first two sulphur plants and a sour gas scrubbing plant from 1935 which was the only one of its kind constructed in Canada. Victoria District National Historic Site of Canada is a large, rural cultural landscape in Alberta, northeast of Edmonton. It is characterized by farmlands organized in long narrow river lots, running back from the North Saskatchewan River for about 12 km of its length, as well as others organized in 800 square meters sections. These areas, including the Lobstick Settlement to the west, the Victoria Settlement (renamed ''Pakan'') to the east, and an old Ukrainian settlement north of Victoria Settlement, contain farmsteads dotted through the landscapes, along the old Victoria Trail, as well as historic buildings clustered at the former site of McDougall's Mission and at the old Ukrainian settlement. Victoria District was designated a national historic site because its cultural landscape, through highly visible and intact physical attributes, represents an exceptional illustration in one concentrated area of major themes in Prairie settlement including the development of the fur trade, the establishment of the Métis river lot system, the arrival of missions, Prairie agricultural development and the establishment of eastern European immigrants at the beginning of the 20th-century. Its heritage values resides in the topography and settlement forms, including land-usage patterns and architecture, that speak to the history of settlement in this area. 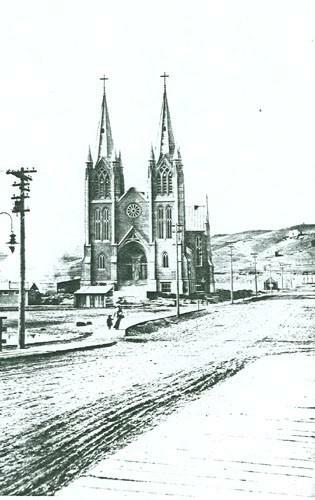 It was the district's strategic location as a stop on Cree and Stony First Nations' migration routes that first led non-Aboriginal settlers under George McDougall to establish a Methodist Mission in 1863. Métis began establishing river-lot farms in 1865, with Ukrainian, British, Canadian and American settlers engaging in more intensive farming organized in the Township survey system from the early years of the twentieth century. 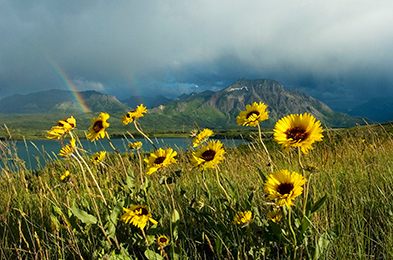 International Peace Park; where the Rocky Mountains meet the prairie. The Wetaskiwin Court House is a large red brick and sandstone building, with projecting pedimented entrance. 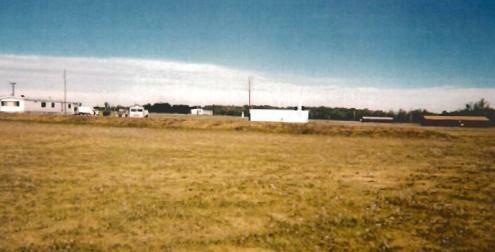 It is located east of Wetaskiwin's downtown in a park setting on a 0.6 hectare (one-and-a-half acre) site. The Wetaskiwin Court House is significant for its historical association with the development of judicial districts in Alberta. Alberta's rapid growth, after becoming a province, led to the establishment of a two-tier justice system with both central and district court functions. Wetaskiwin was chosen as the seat of the judicial court district due to the economic expansion it experienced as the junction point of the Canadian Pacific Railway and the new railway north to Edmonton. The Wetaskiwin Court House is important for its functional layout, as expressed in the spatial organization of the building plan and form, which provided for both administrative services and traditional court functions to be combined in one building. The basement of the courthouse was used for police services and holding cells, the main floor was allocated for the sheriff and court administration, while a large courtroom and ancillary spaces were located on the upper level. Designed by A. M. Jeffers, shortly after his appointment as Provincial Architect, the building is architecturally significant for its restrained neo classical design elements and functional plan. Jeffers' knowledge of courthouse design, from his architectural training and previous experience in the United States, is particularly evident in the building's spatial allocations. The courthouse, Jeffers' first, was the second constructed after the province was created, and is characteristic of courthouse design in the formative period of growth in western Canada. UNESCO World Heritage Site larger than Switzerland. As part of Canada's system of national parks and national historic sites, Wood Buffalo National Park of Canada is our country's largest national park and one of the largest in the world. It was established in 1922 to protect the last remaining herds of bison in northern Canada. Today, it protects an outstanding and representative example of Canada's Northern Boreal Plains. The Yellowhead Pass National Historic Site of Canada is a historic travel corridor through the Rocky Mountains from Alberta to British Columbia. The pass is located in Jasper National Park of Canada at its eastern end and in Mount Robson Provincial Park at its western end. 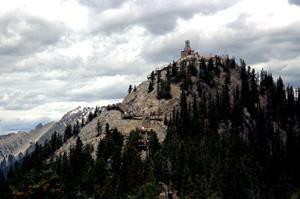 It is one of the lowest elevation passes across the Great Divide in the Northern Rockies. This pass was used for centuries by First Nations peoples, from about 1825 to the 1850s by the Hudson's Bay Company principally to transport leather from the Saskatchewan District to its posts in New Caledonia. After 1906, it was used as a route for the Grand Trunk Pacific and the Canadian Northern railways and in 1942, Japanese-Canadians who had been interned during World War II began automotive roadway work on it. The pass derives its name from Pierre Bostonais, called "Tete Jaune", an Iroquois freeman active in the region in the early 19th century. The heritage value of the site resides in its historic associations as illustrated by the landscape and its associated historic resources.